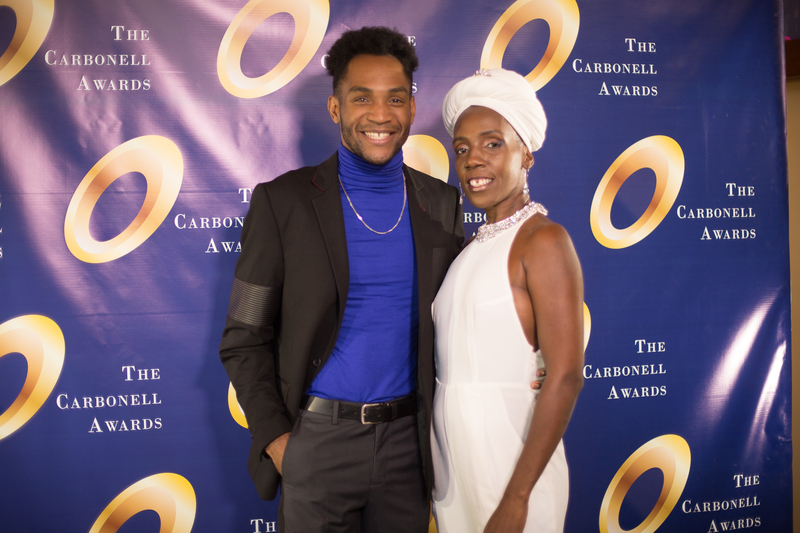 • The production must have a minimum of 14 performances held over a minimum of two weekends with voters allowed admittance no later than Wednesday evening of the first performance week. 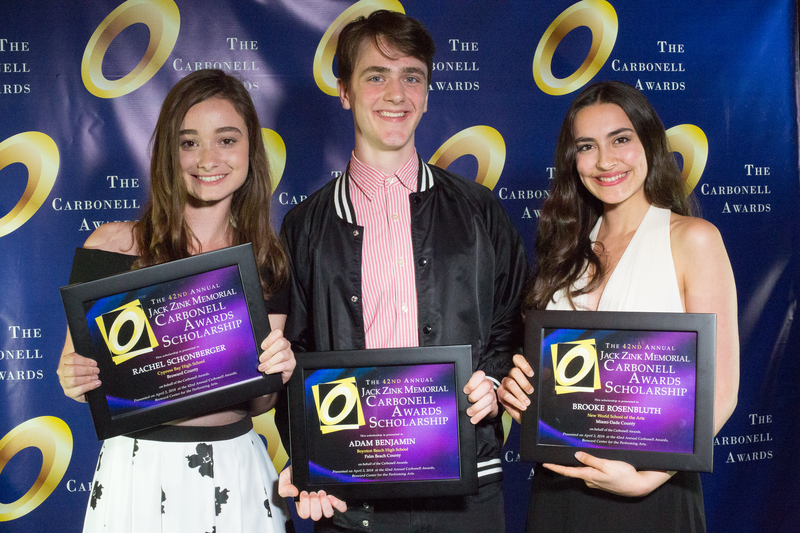 • The performance schedule must meet the above requirements not including previews unless voters are admitted to previews for award consideration. 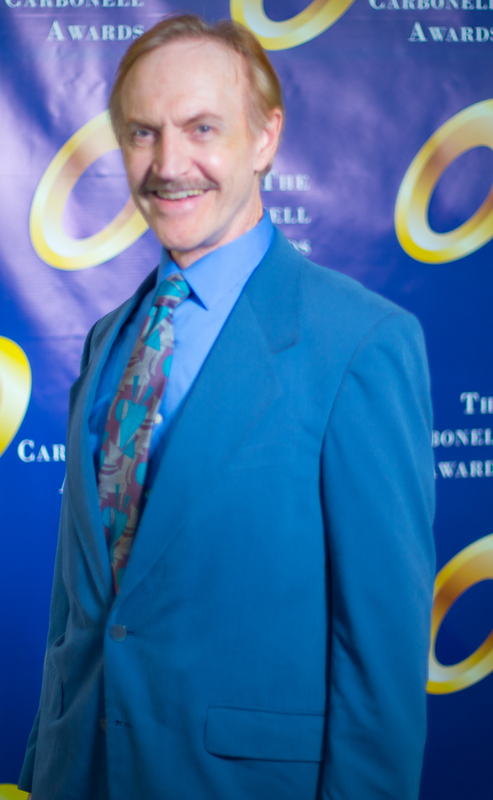 • Productions must offer a minimum of 2 (two) shows per performance week to voters for evaluation. 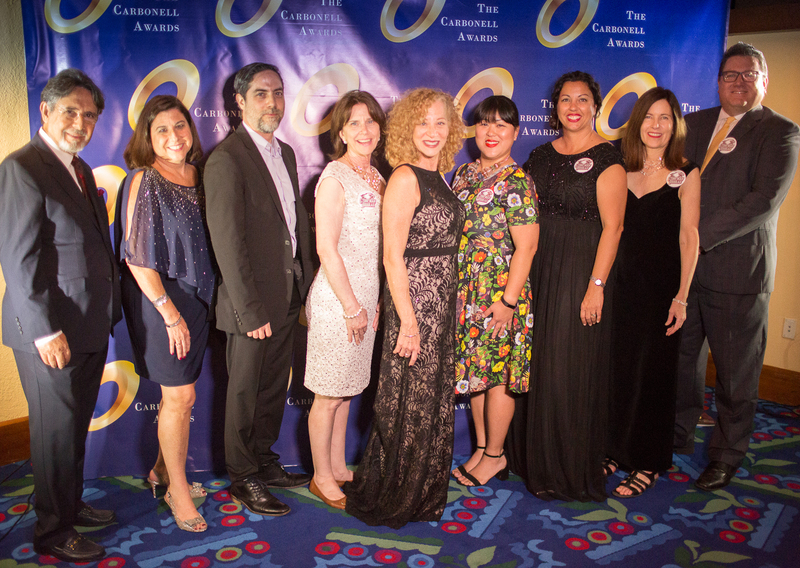 • Productions which meet the above requirements may be held in more than one venue during the judging year only if the Carbonell panel has advance notice of the full schedule prior to the production’s opening night. 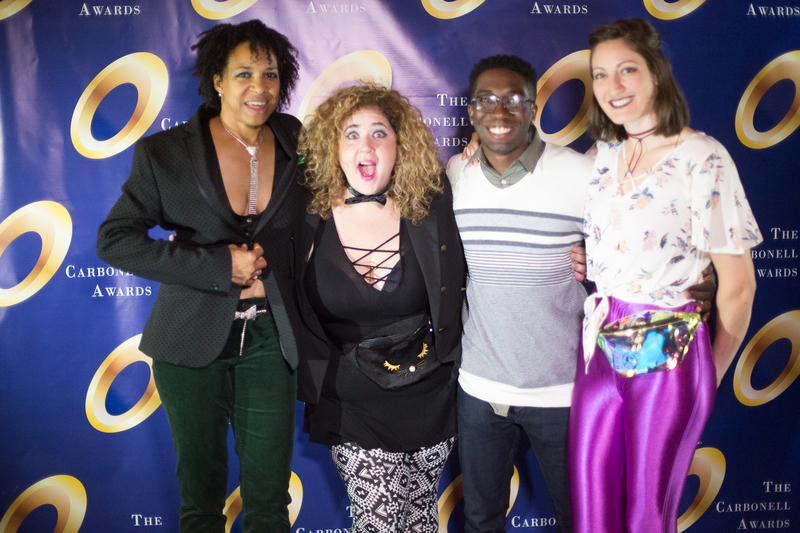 • Additional performances announced after opening night and offered in an extended run will not be included in determining the performance minimums requirement. 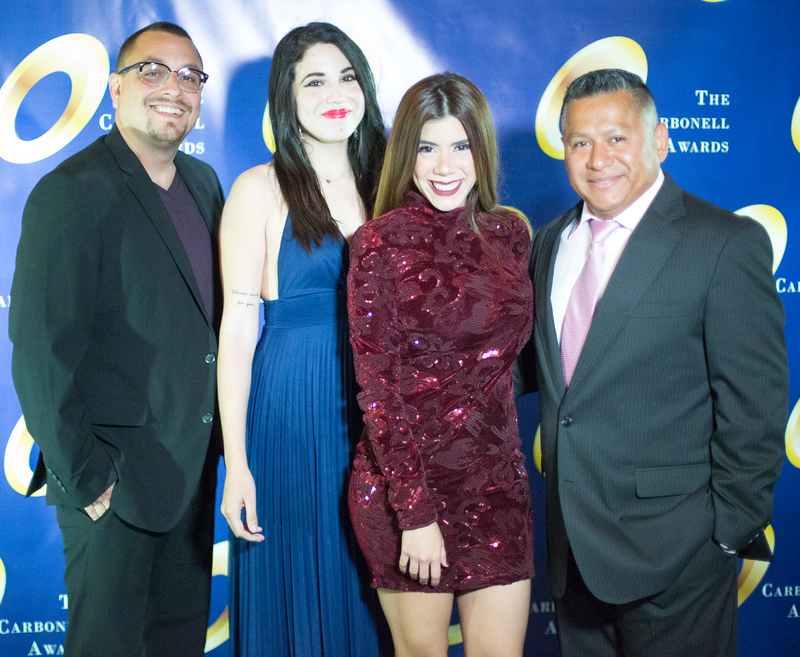 • The production must be mounted by an Eligible Resident Theater Company and meet the requirements of an eligible production. 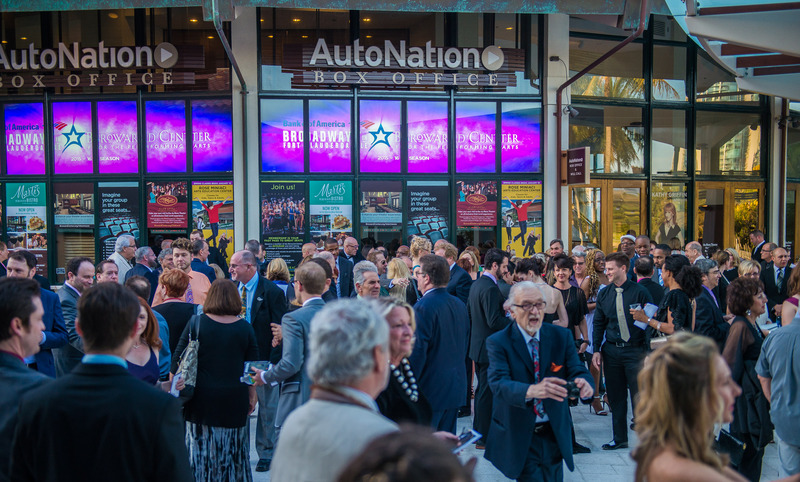 • Productions in which any qualifying paid employee involuntarily turns earnings back to the theater will be considered ineligible. 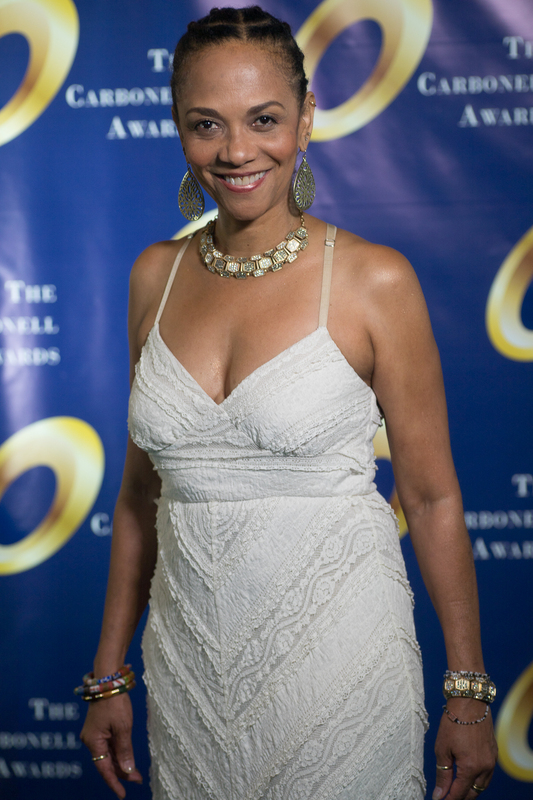 • Productions must be licensed or performance rights must be obtained from the playwright. 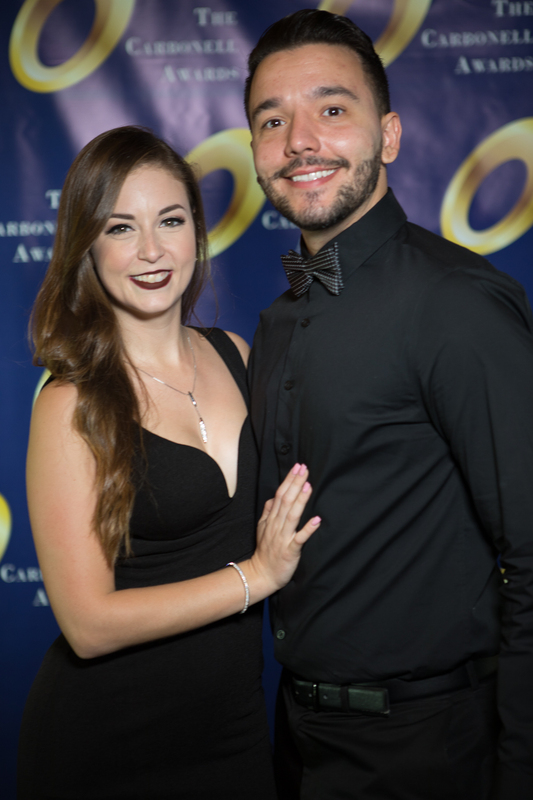 • Theater/show managements must further demonstrate that the eligible production has been materially produced, assembled or rehearsed on-site in South Florida (Miami-Dade, Broward, and/or Palm Beach counties). 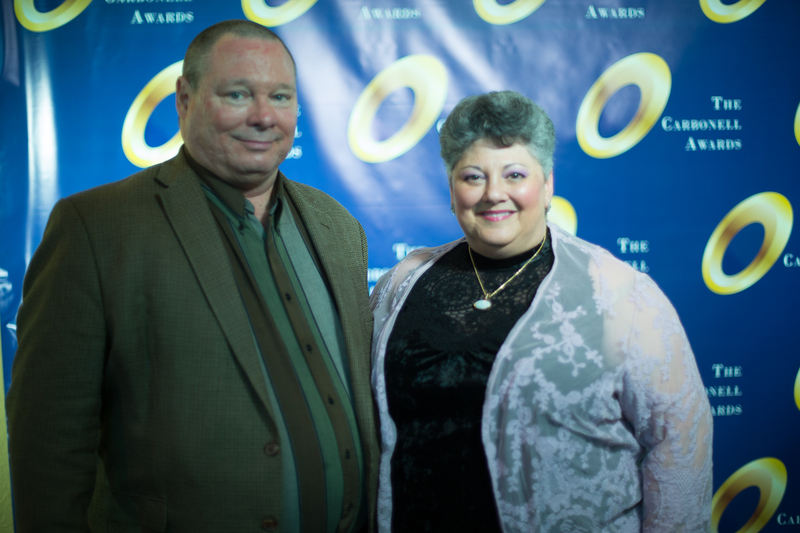 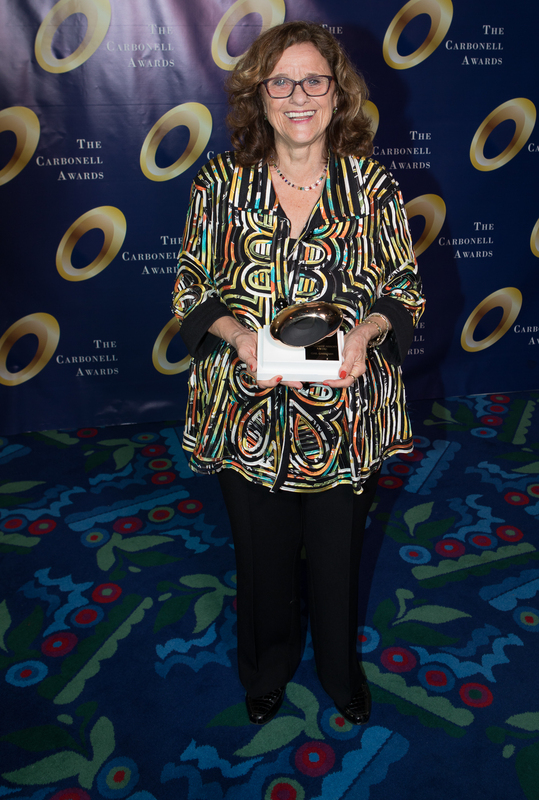 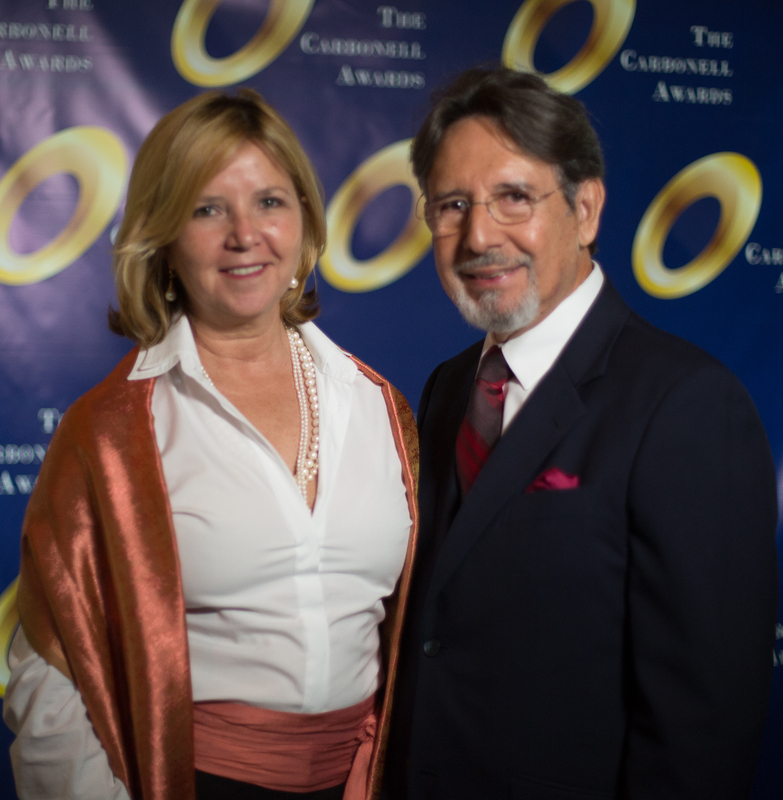 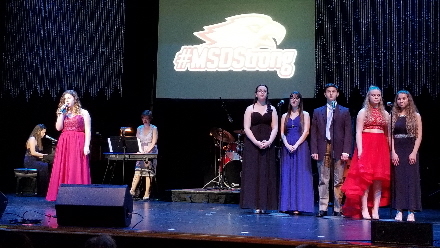 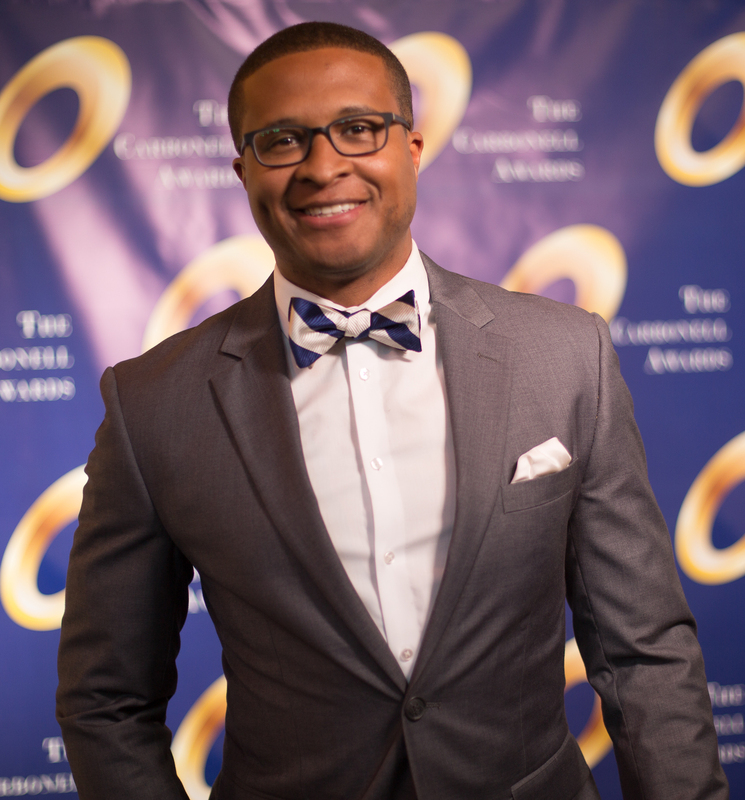 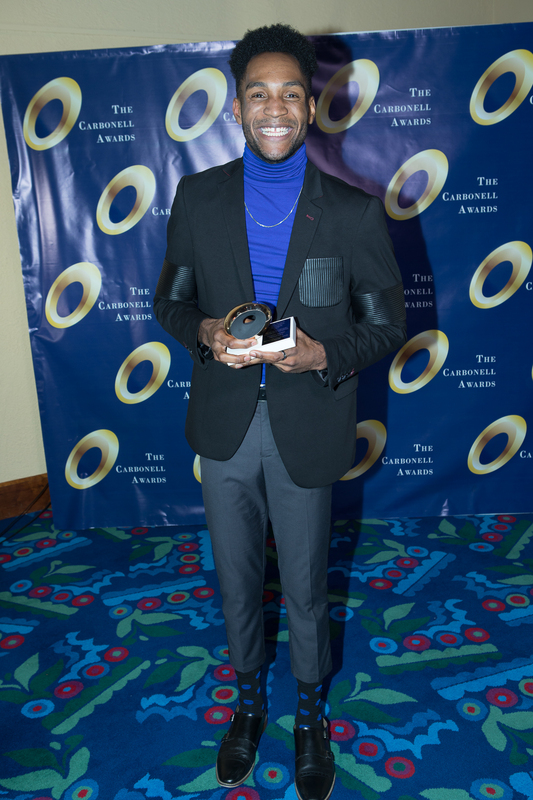 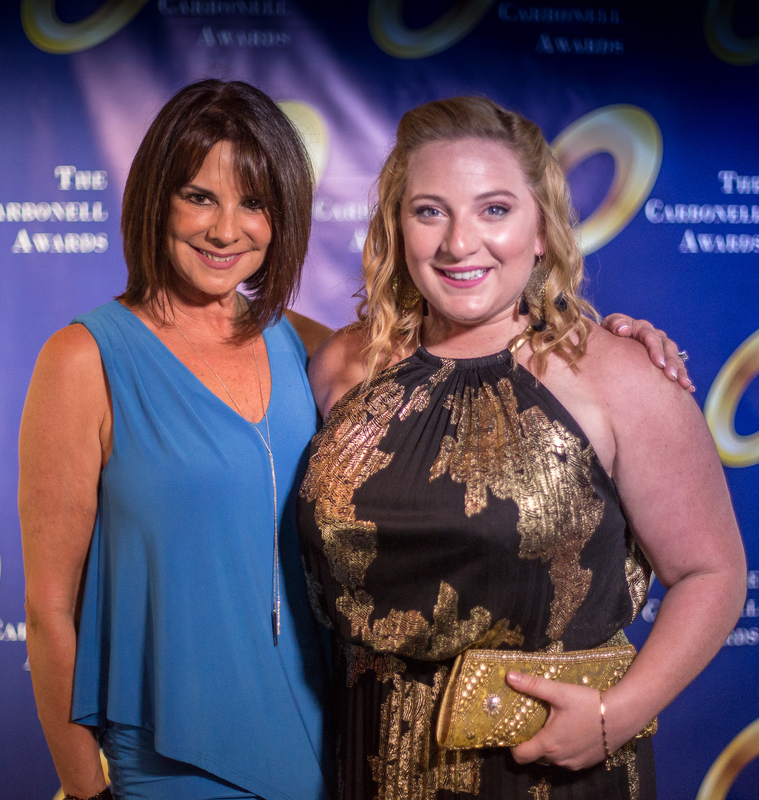 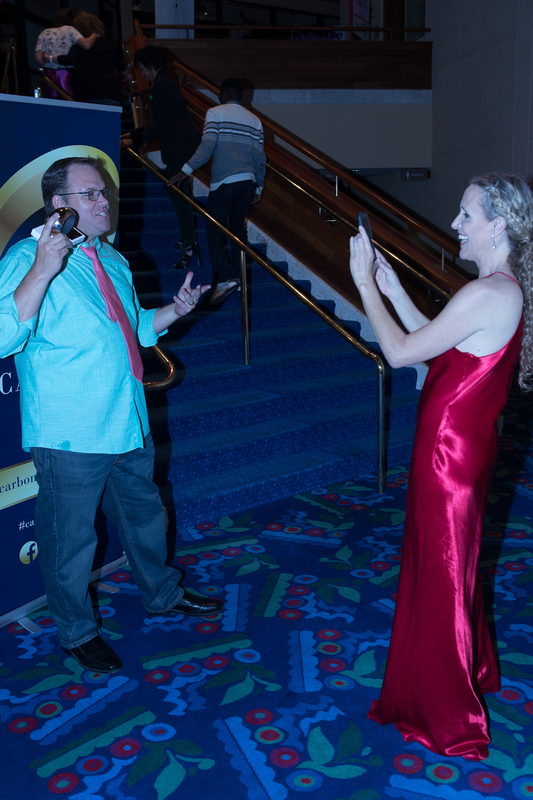 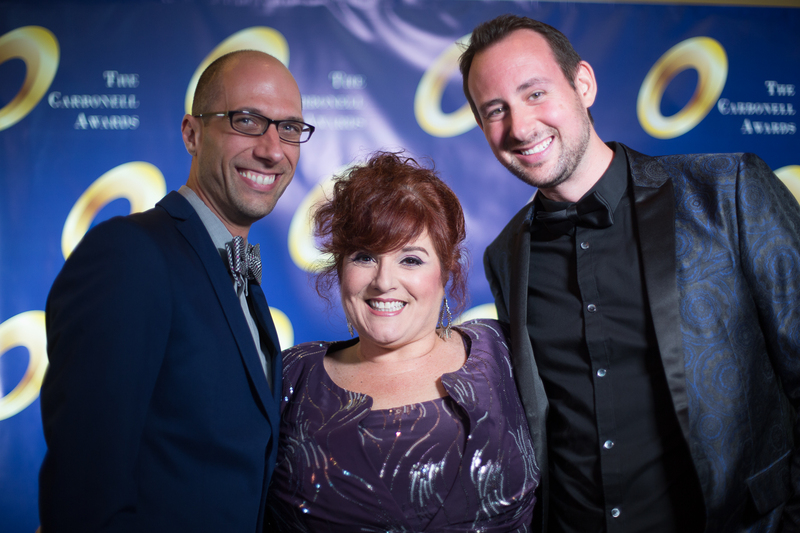 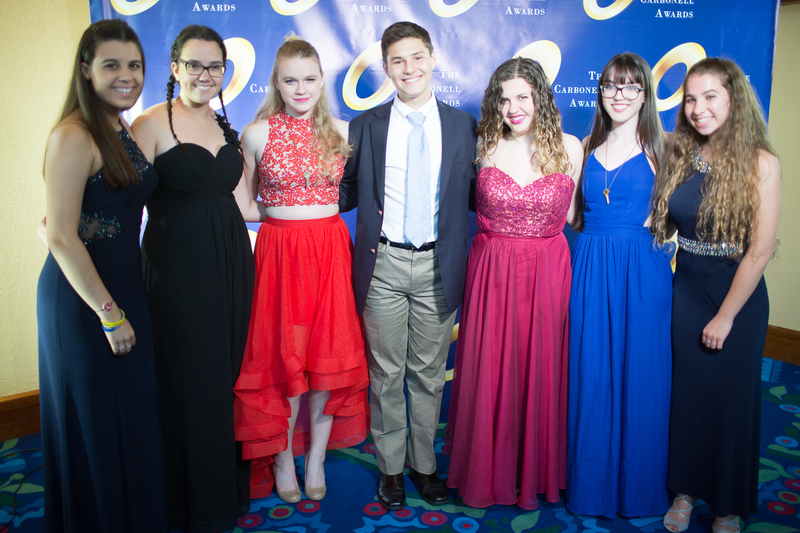 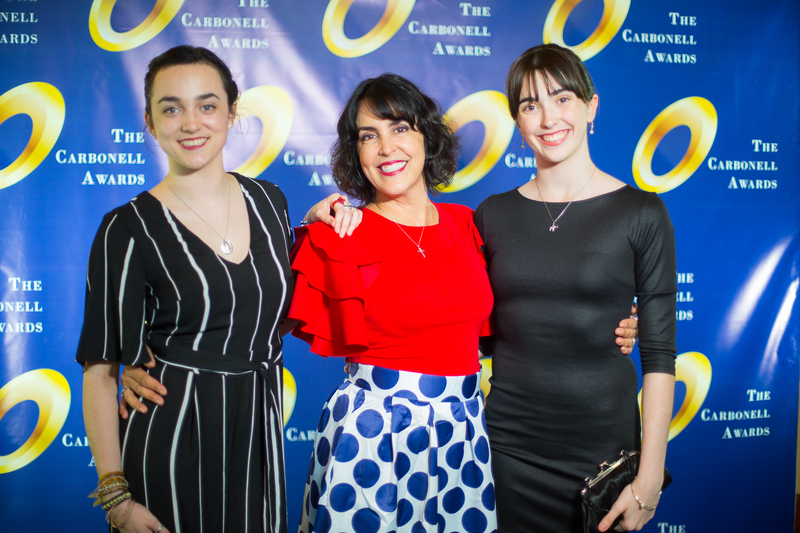 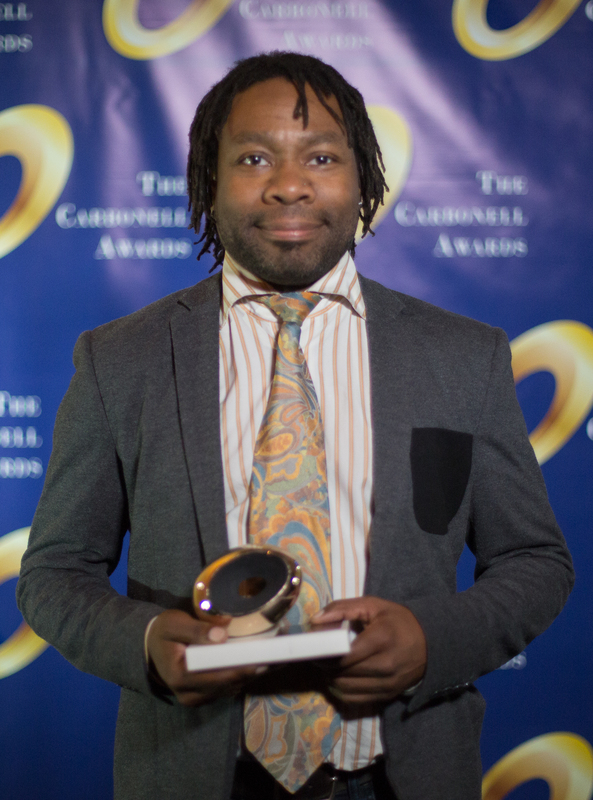 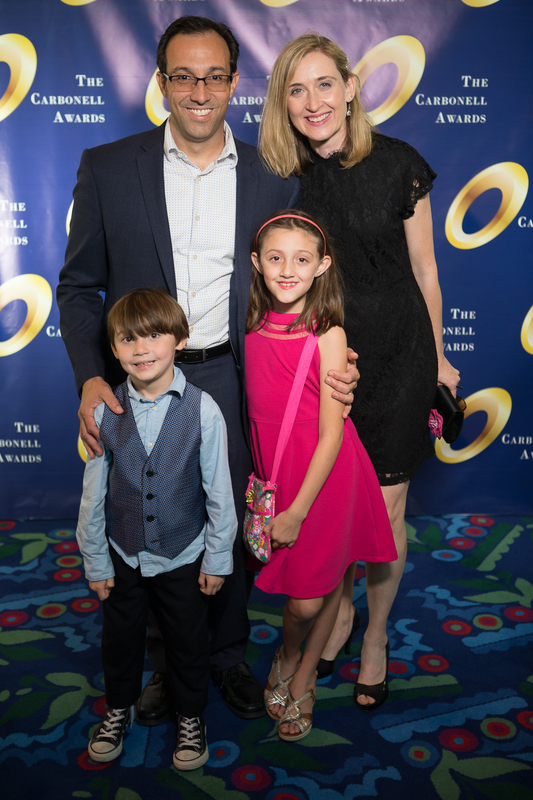 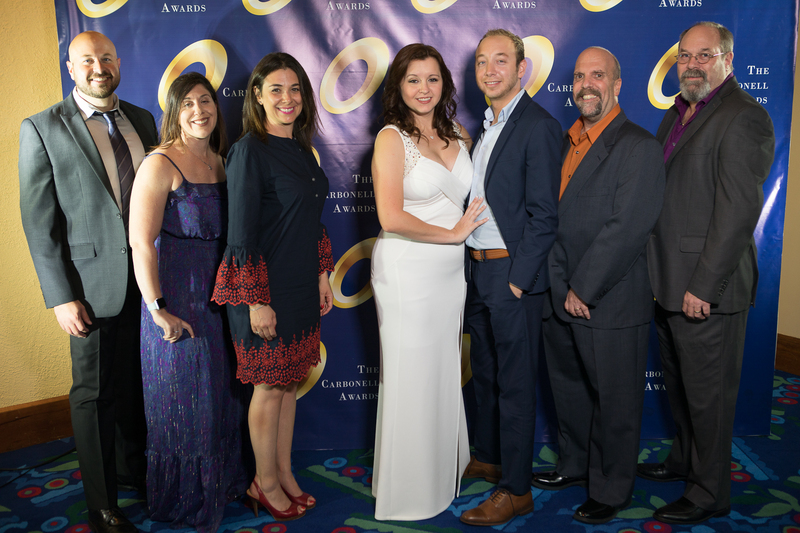 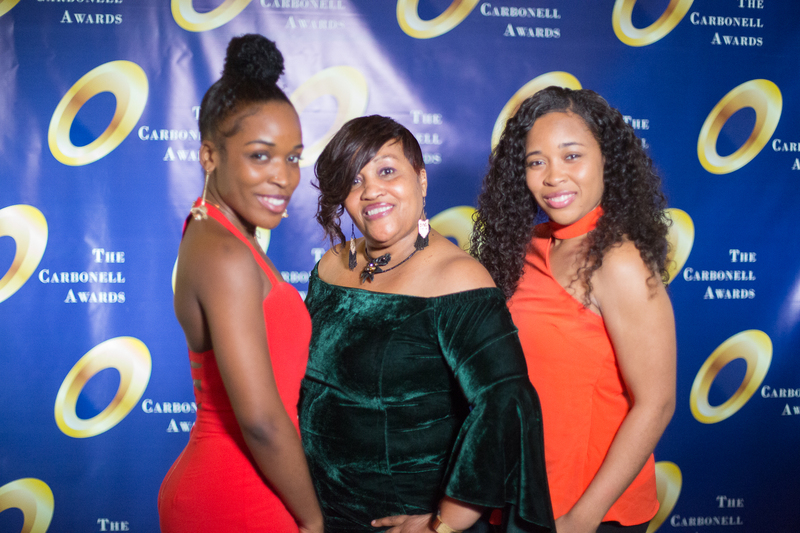 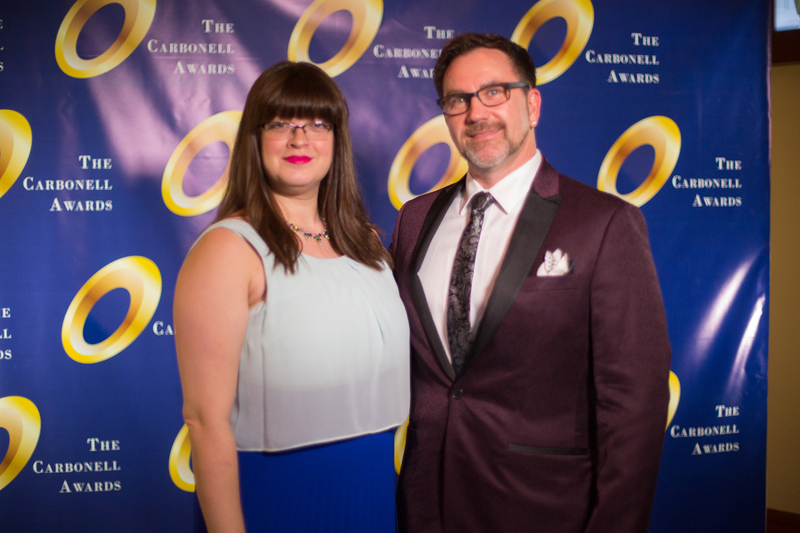 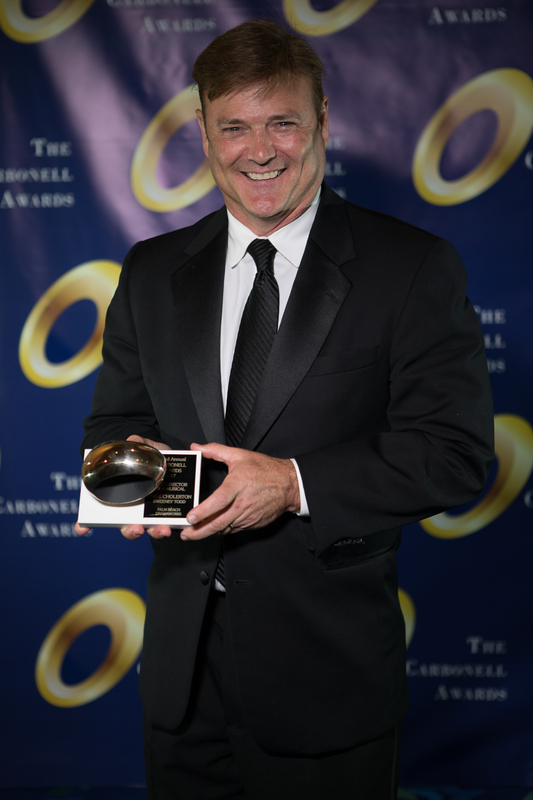 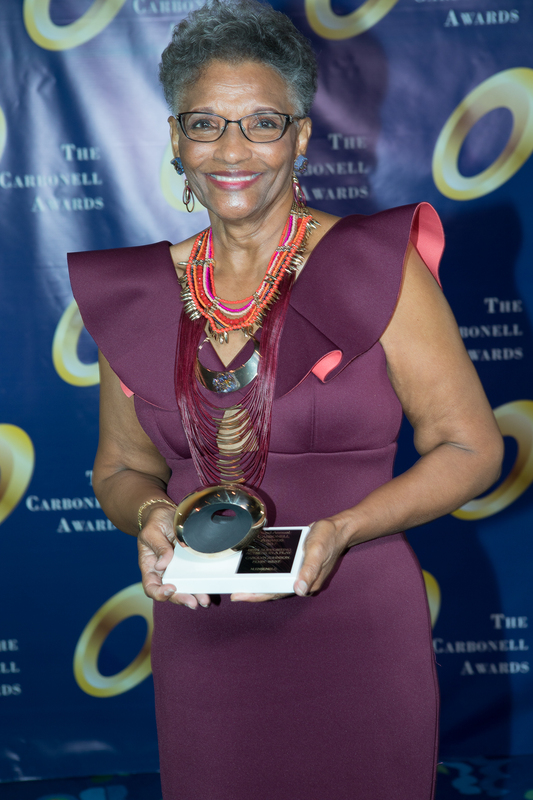 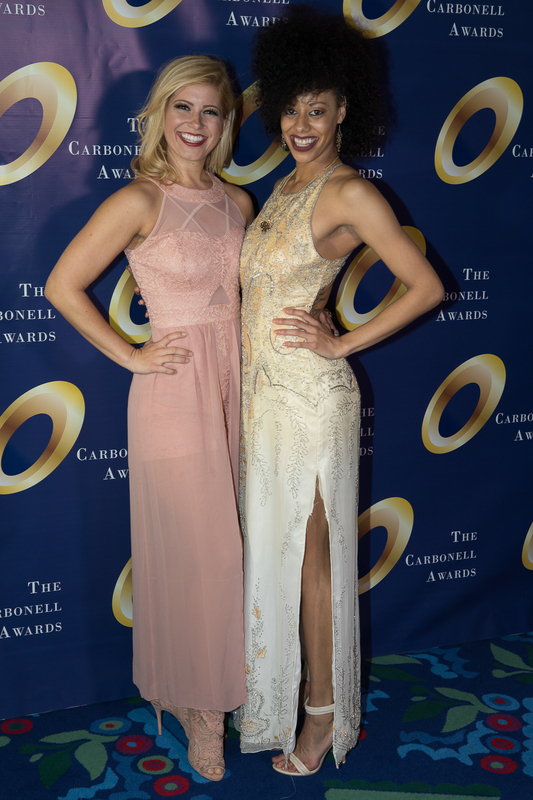 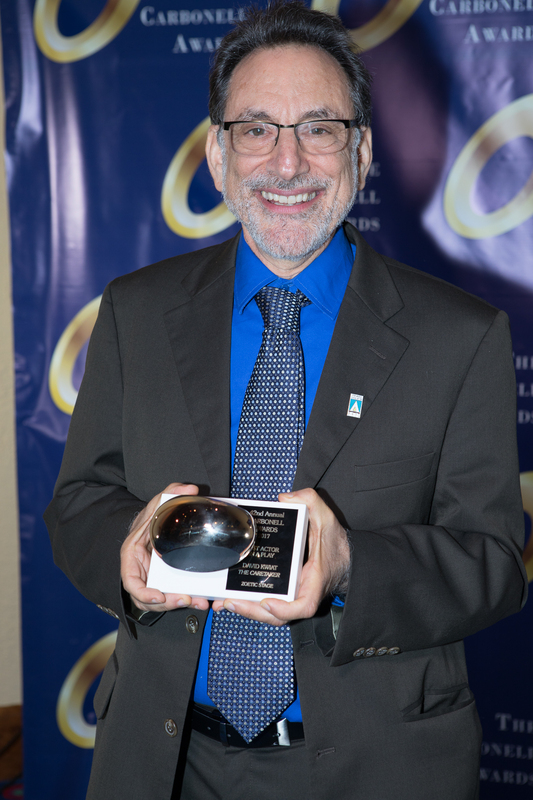 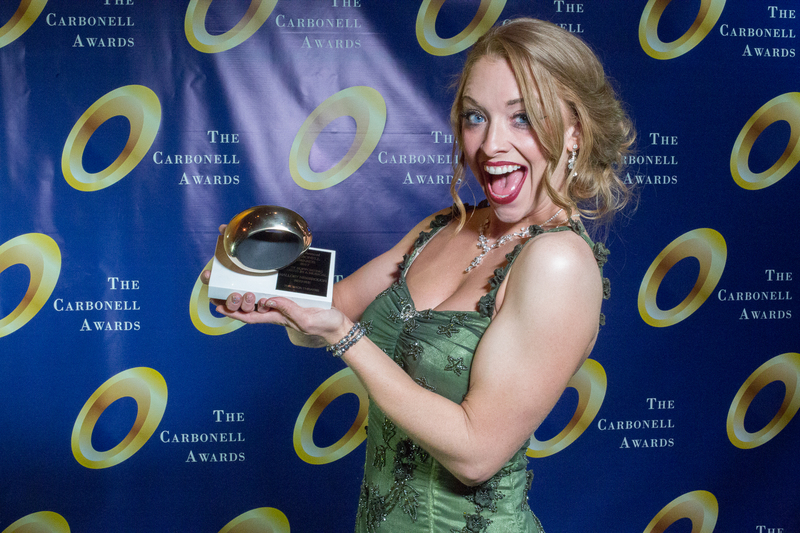 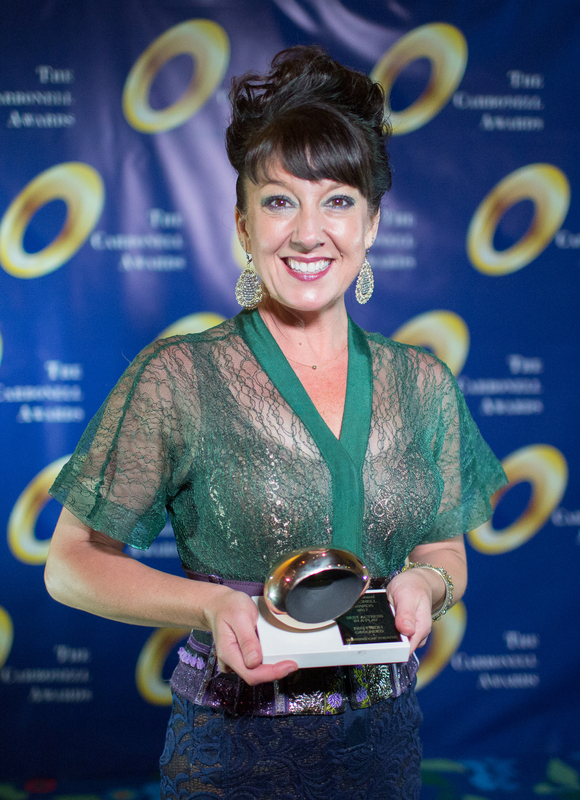 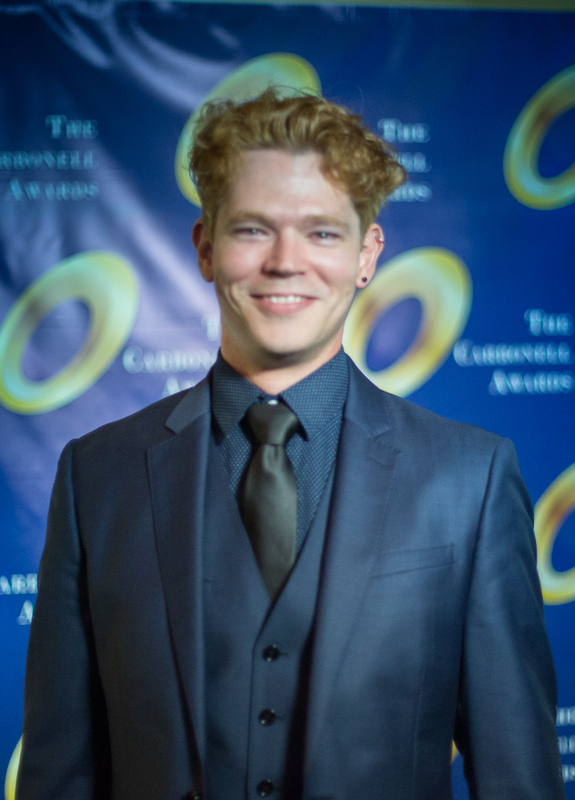 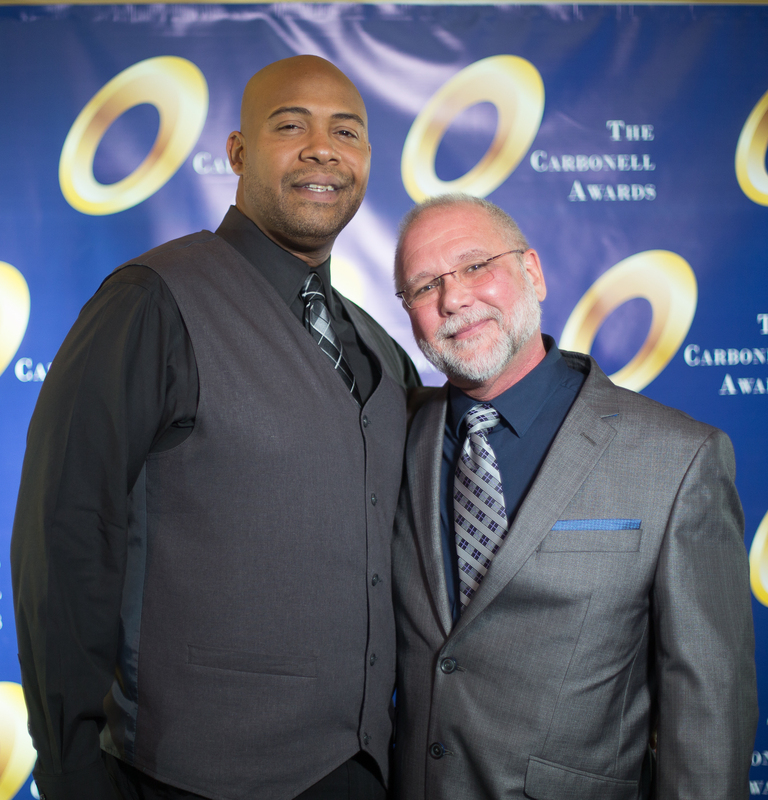 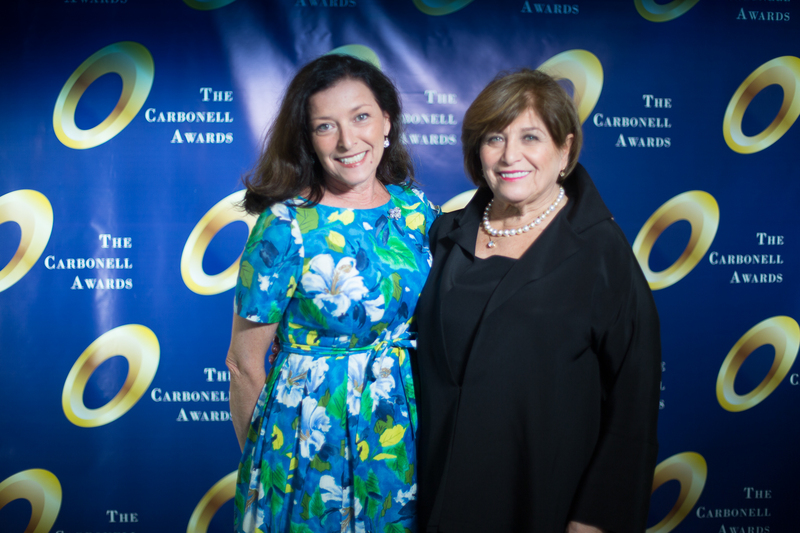 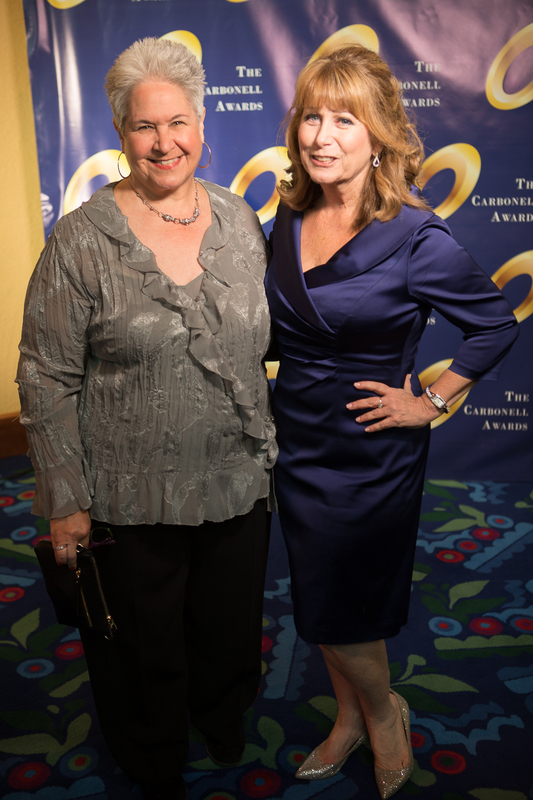 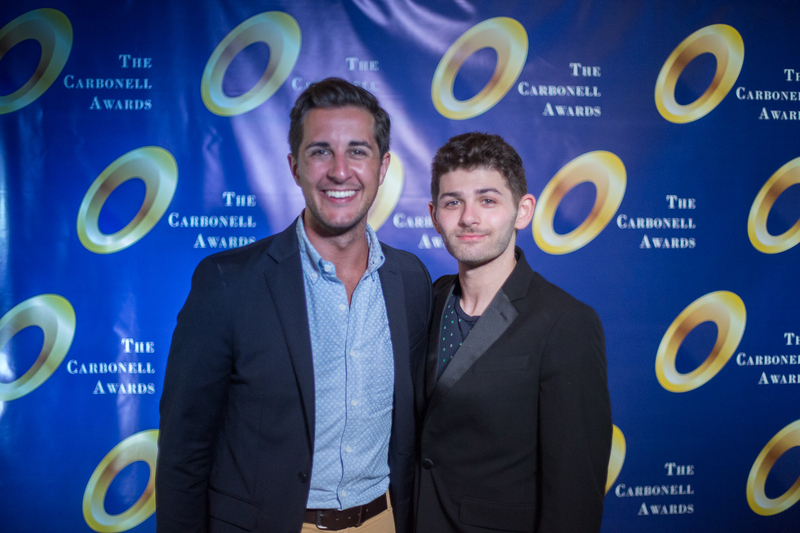 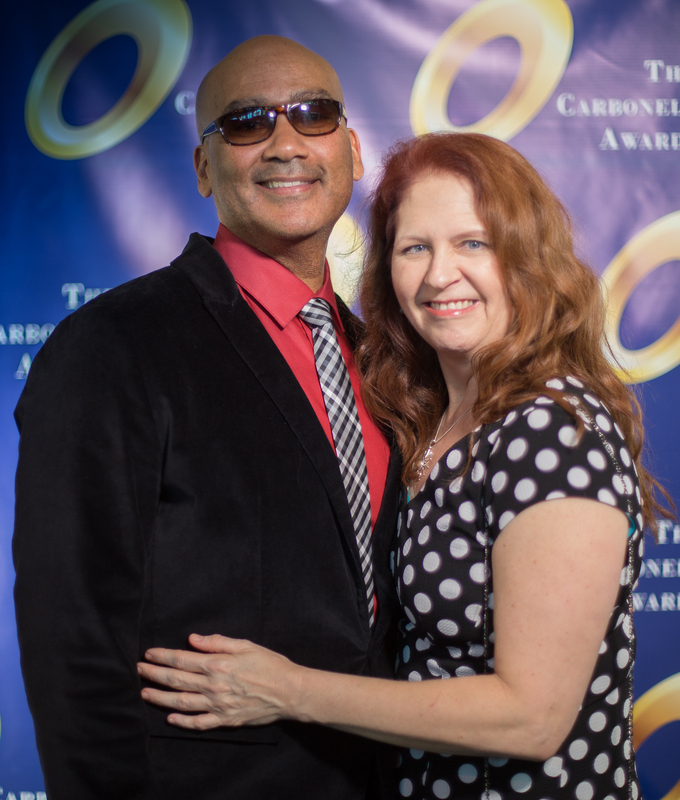 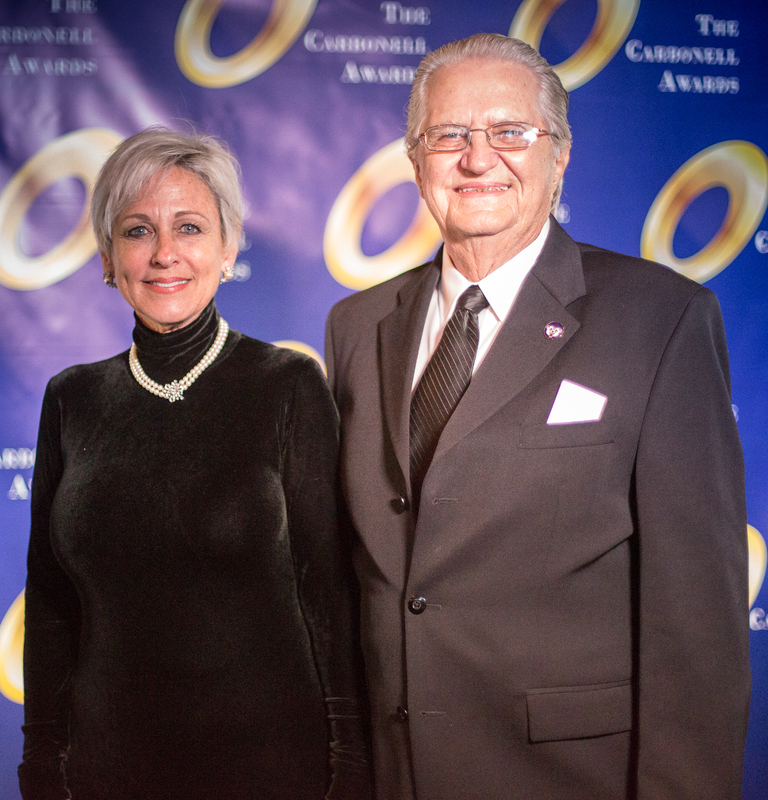 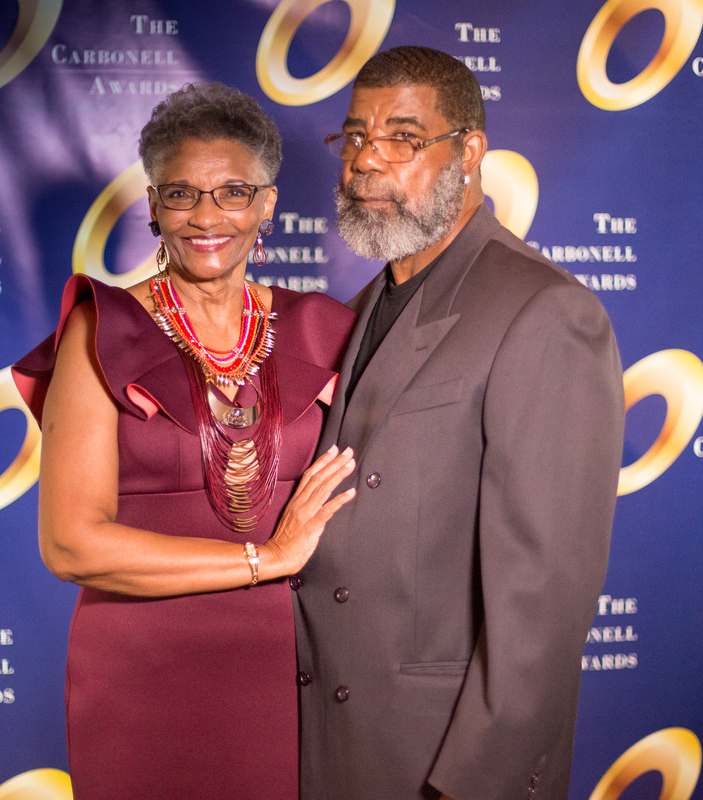 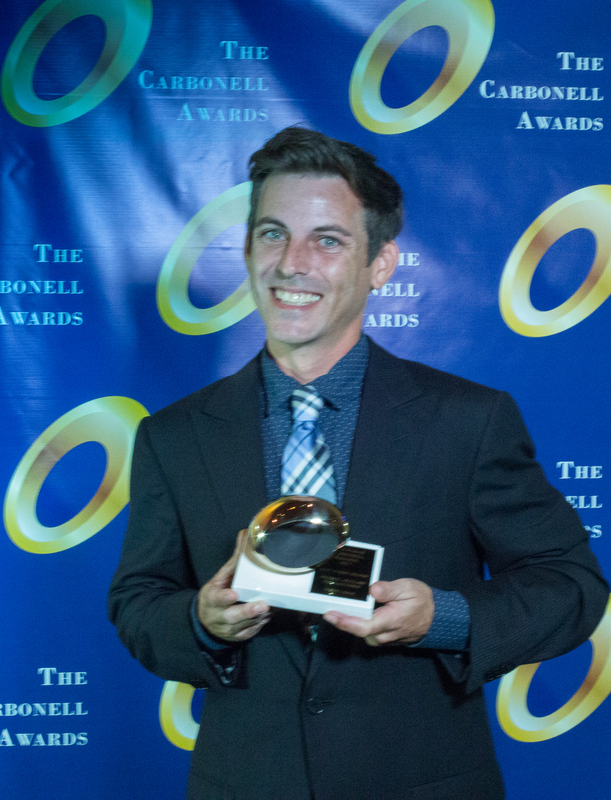 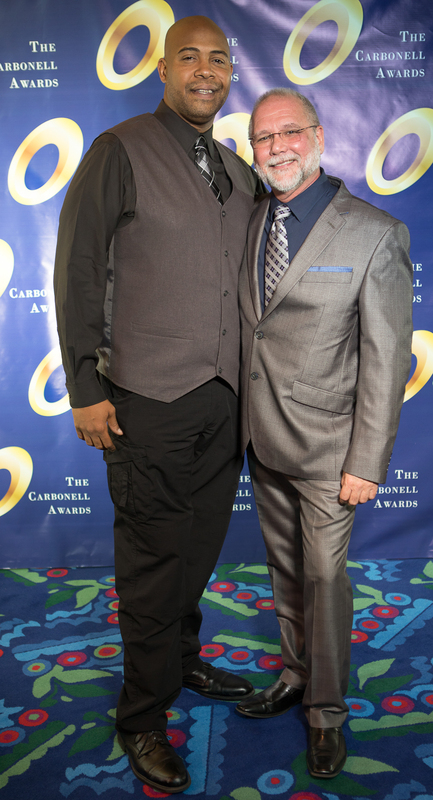 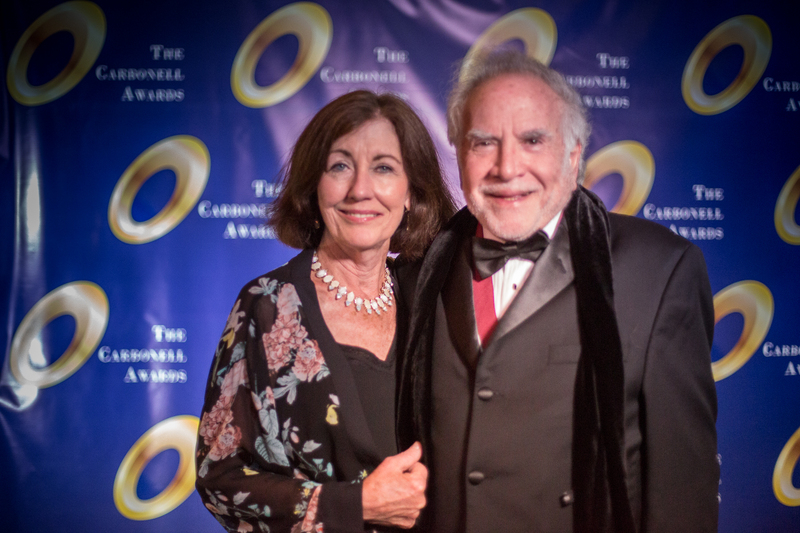 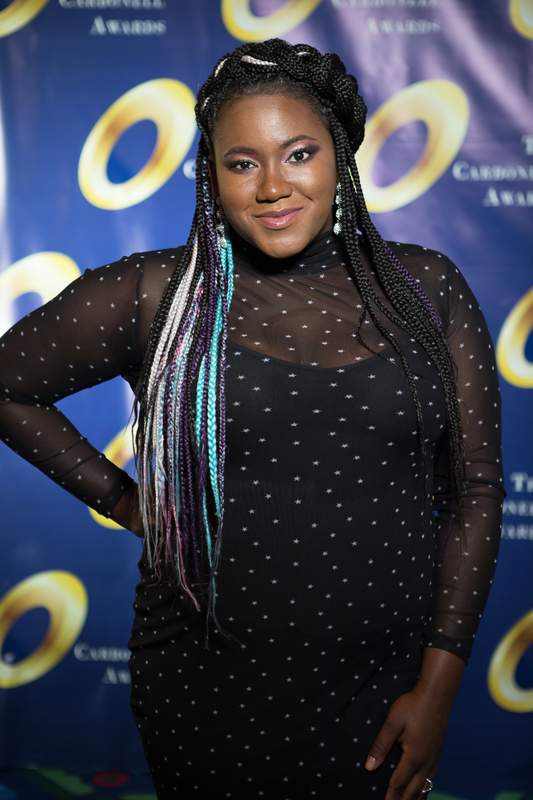 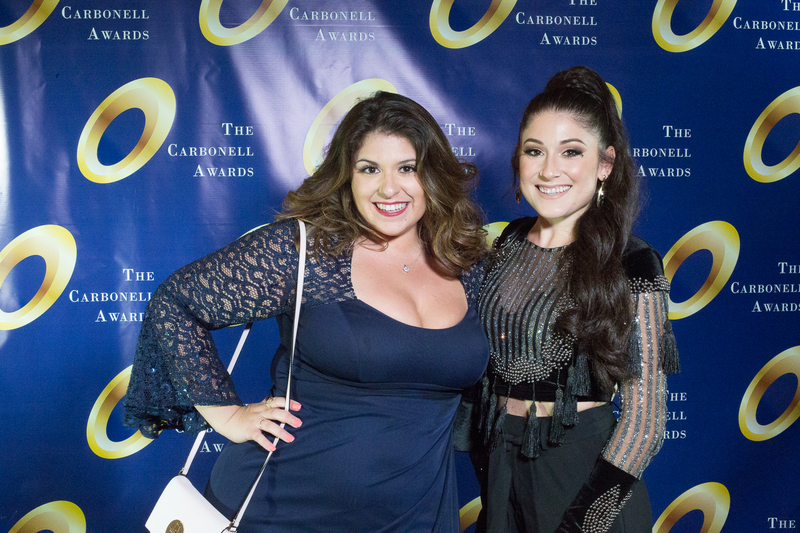 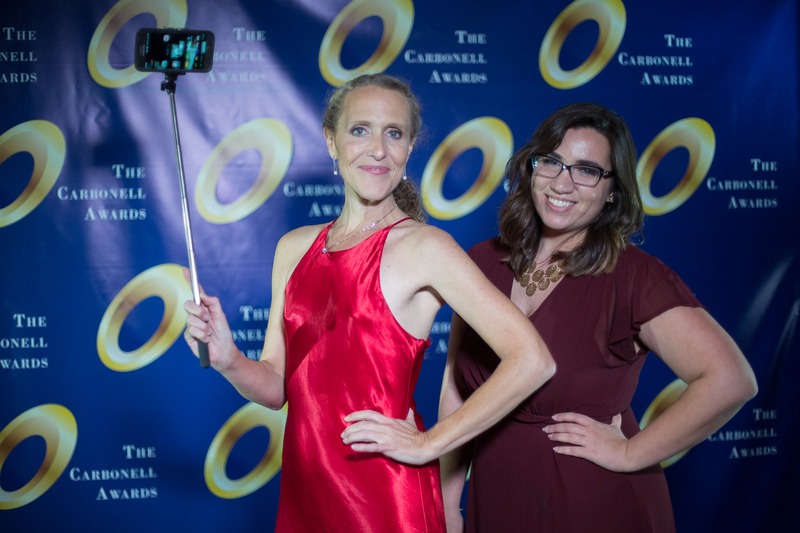 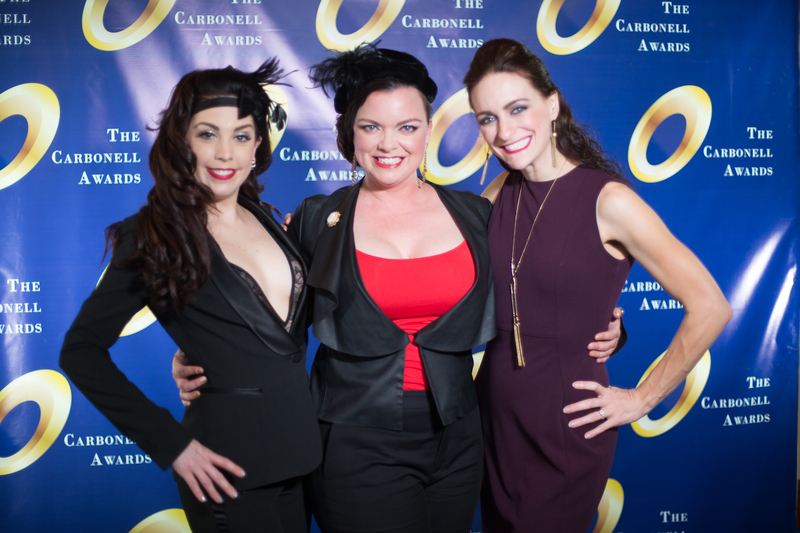 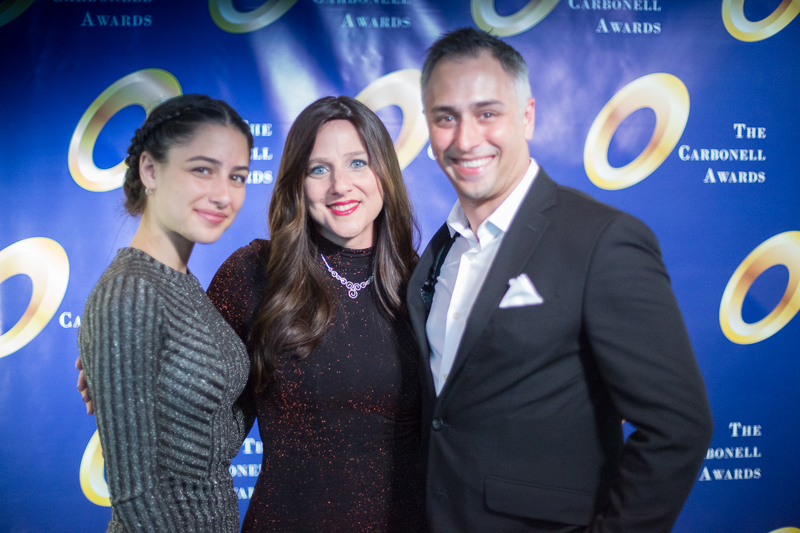 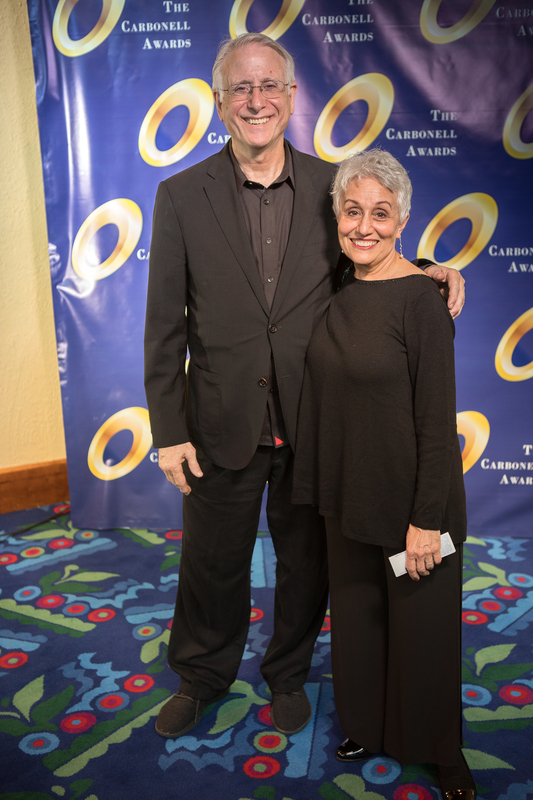 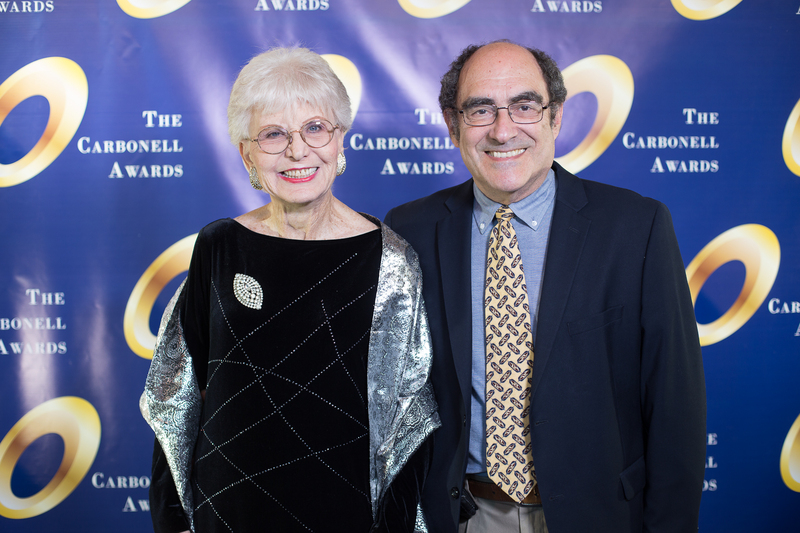 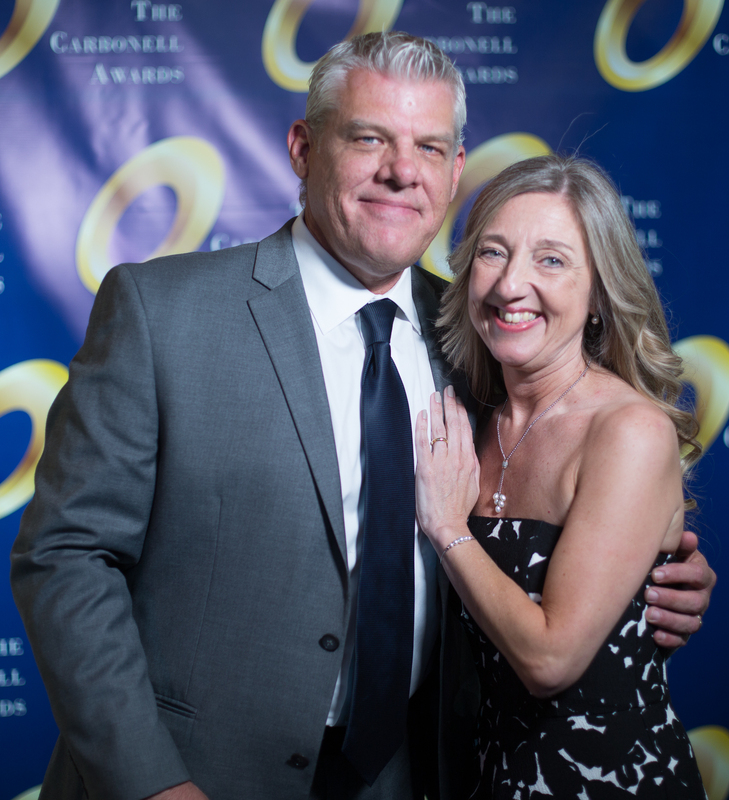 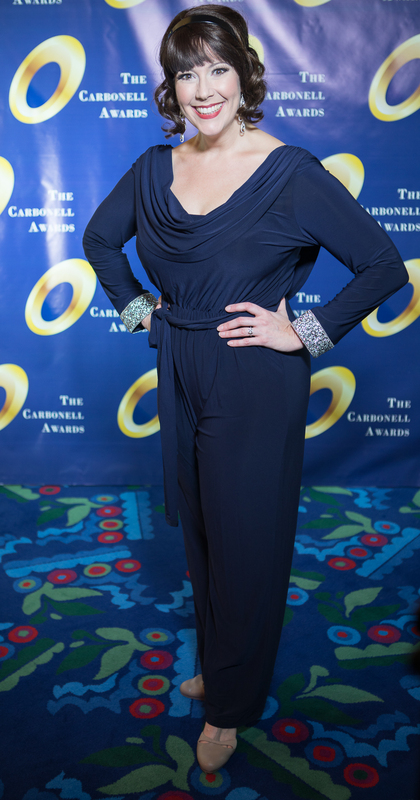 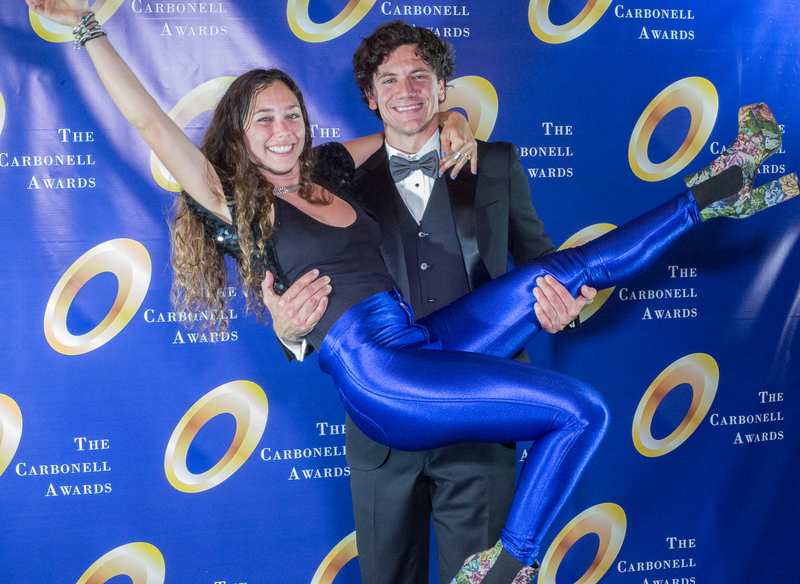 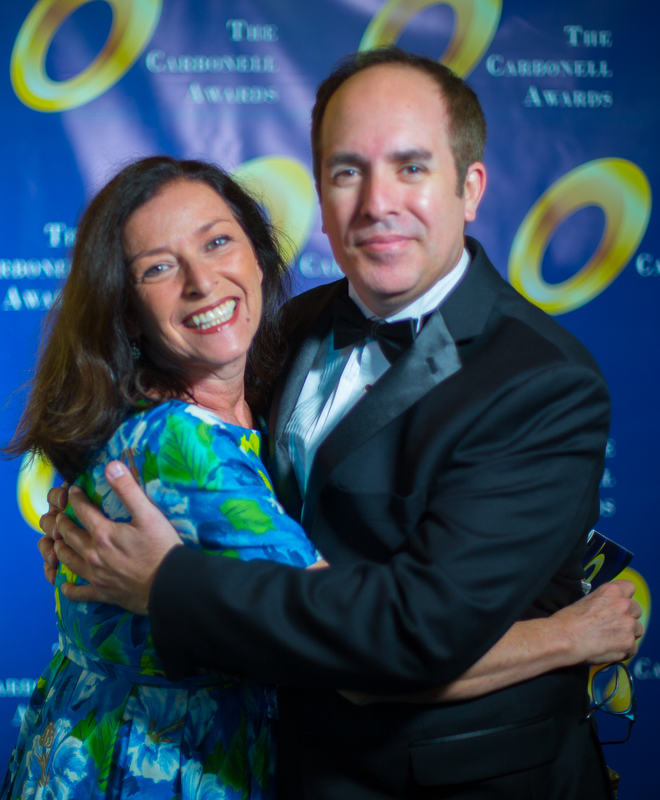 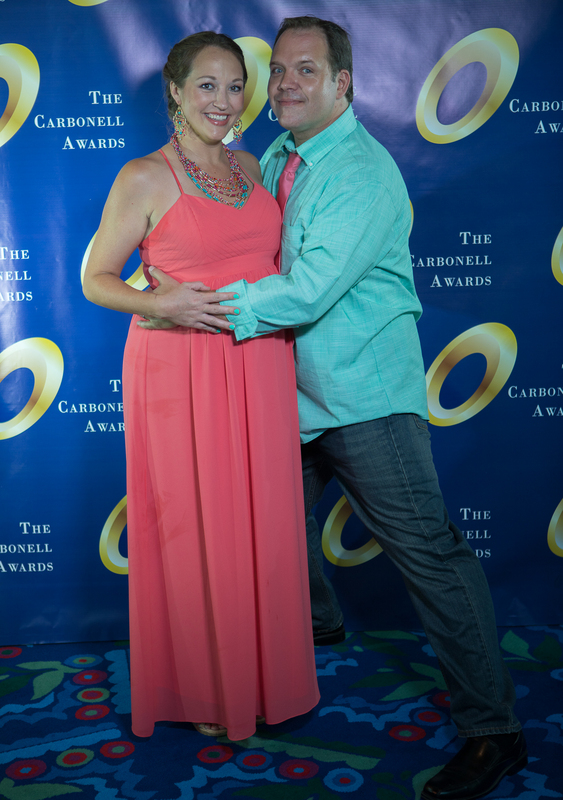 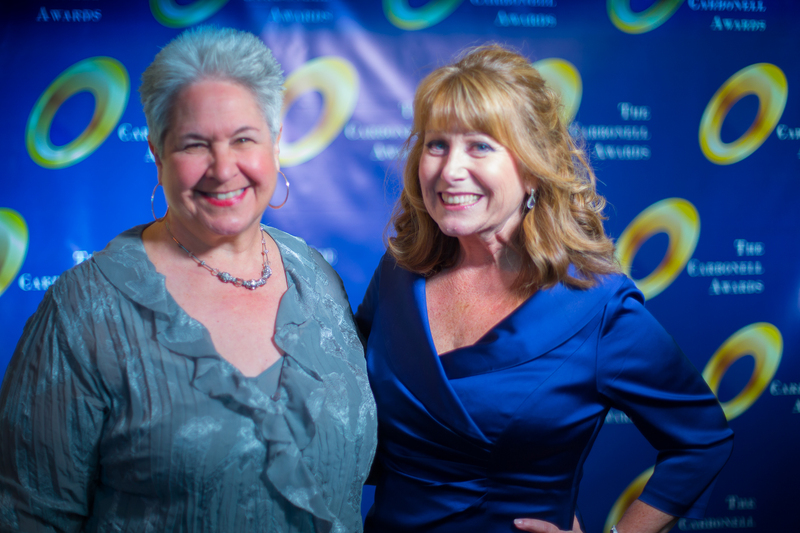 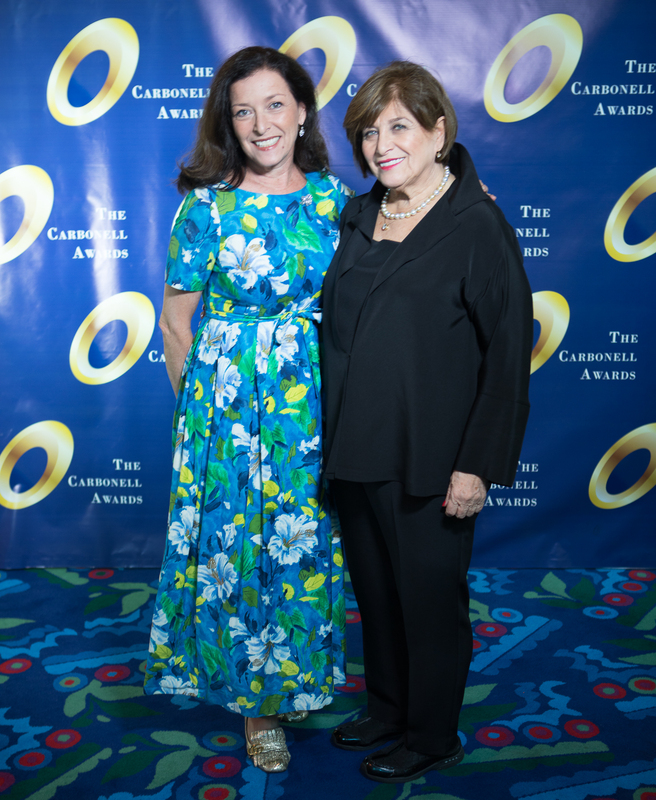 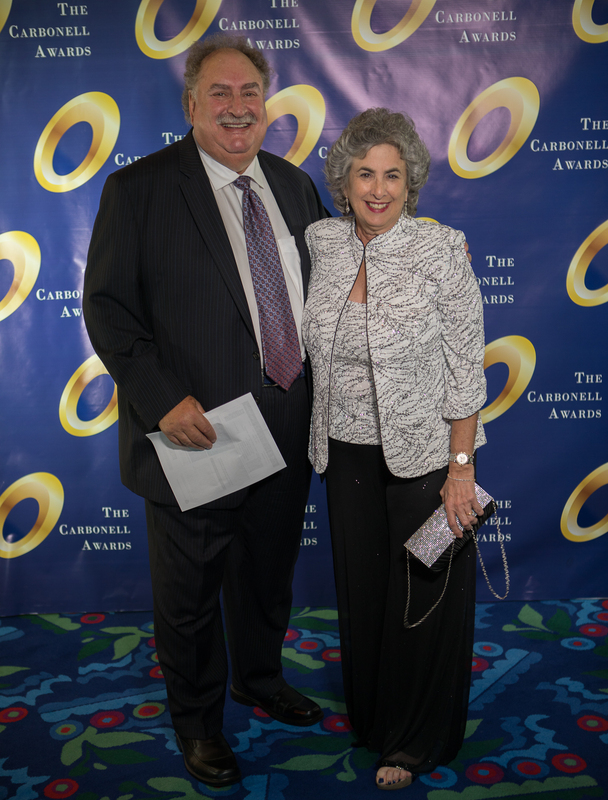 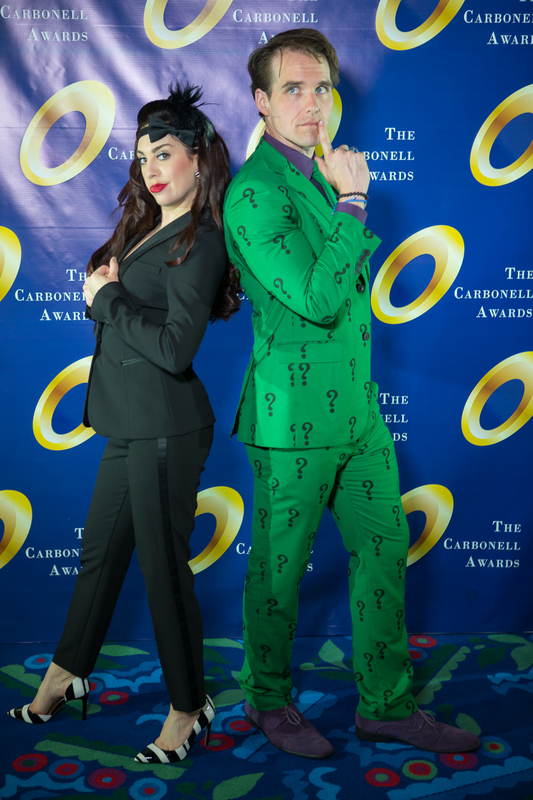 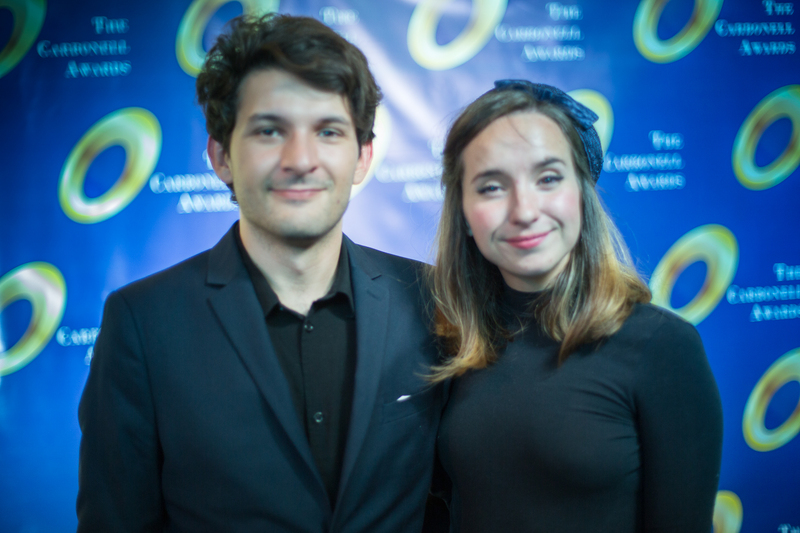 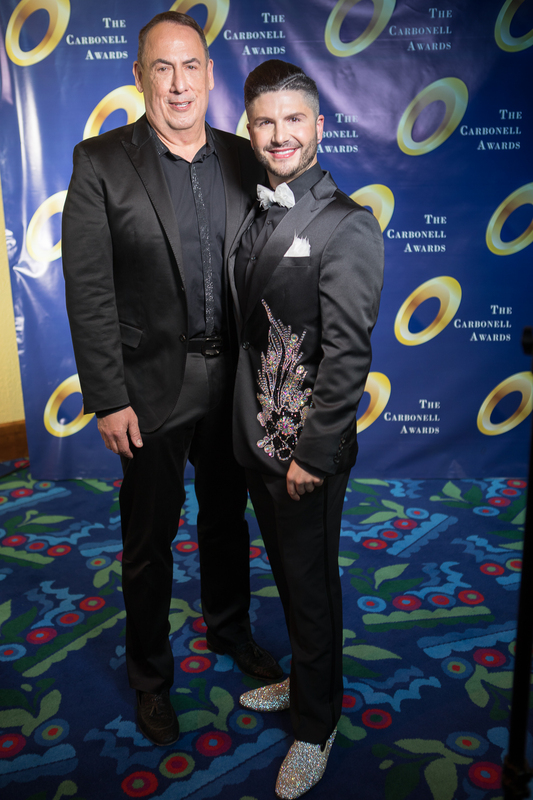 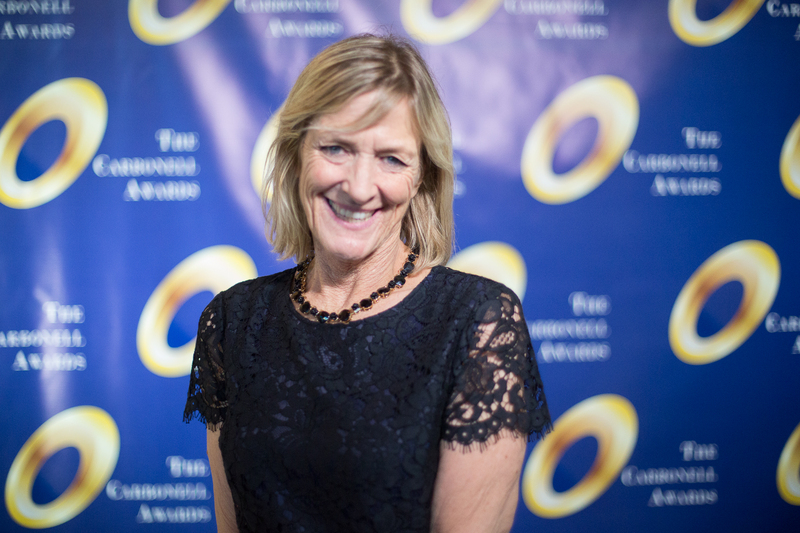 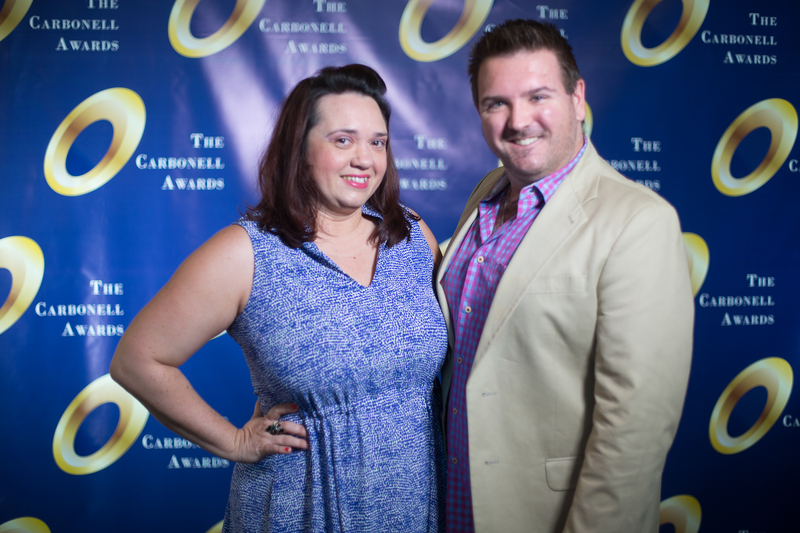 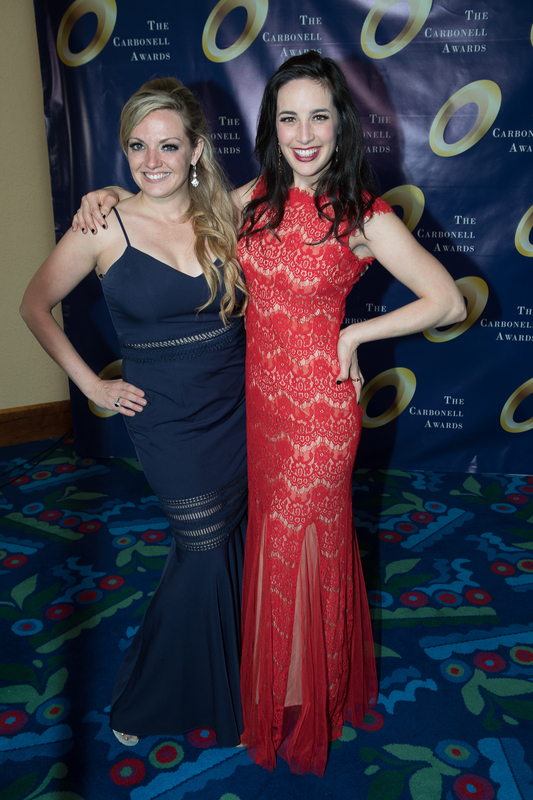 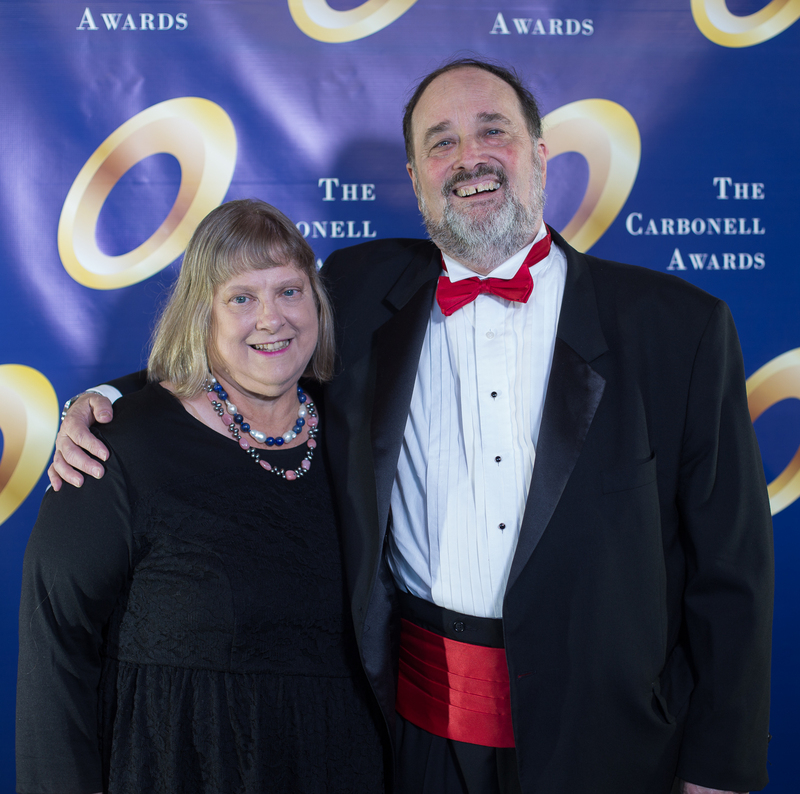 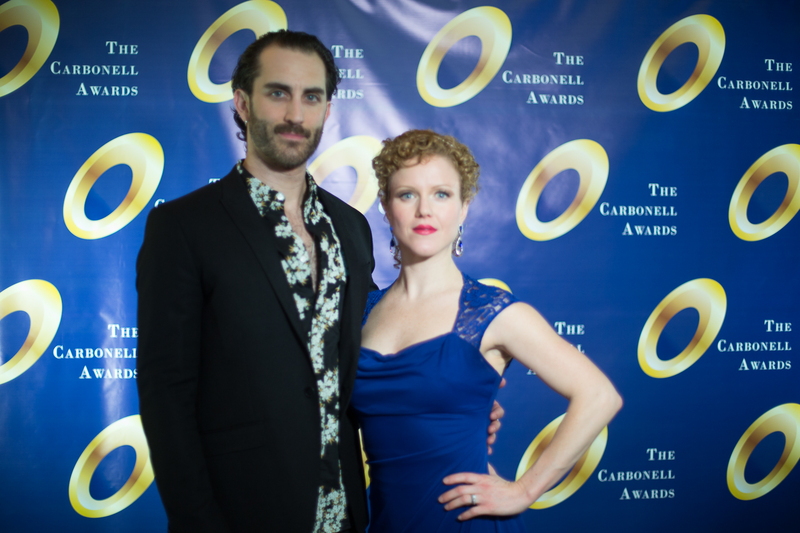 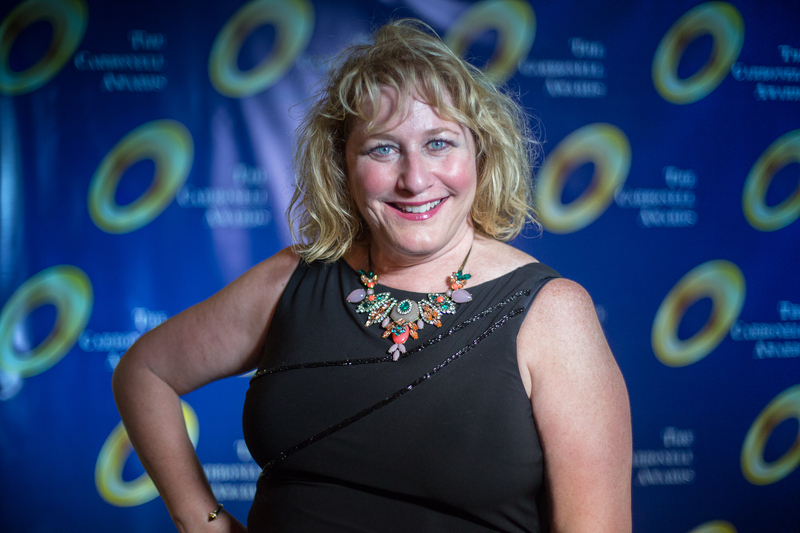 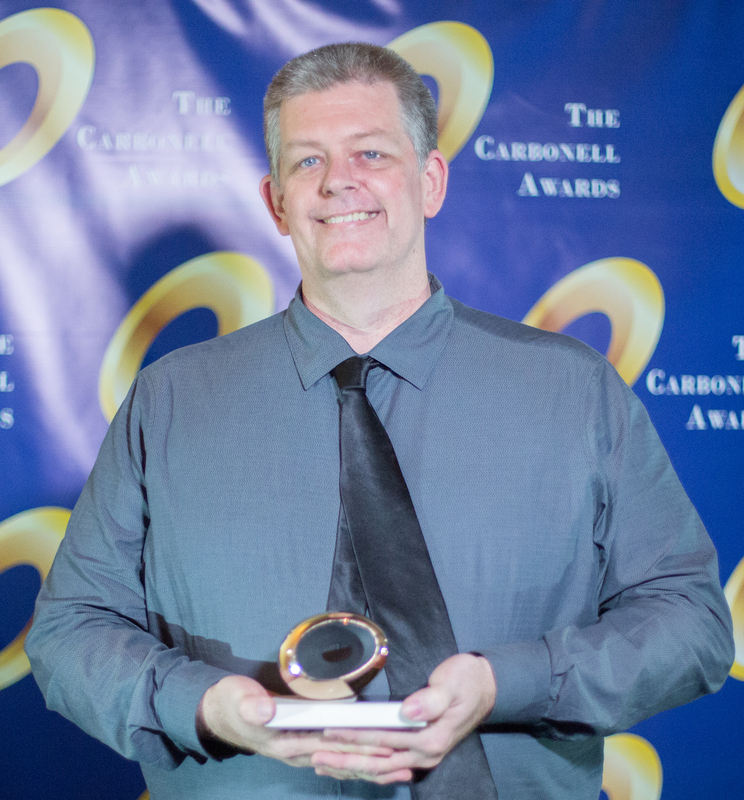 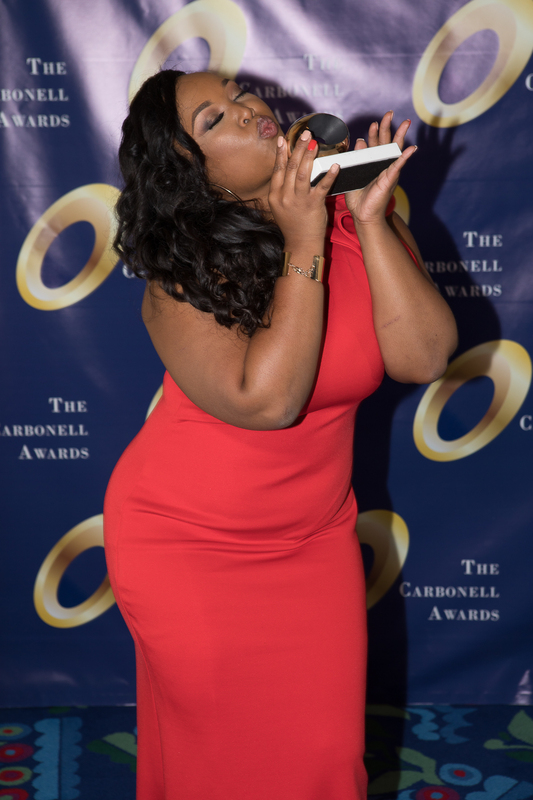 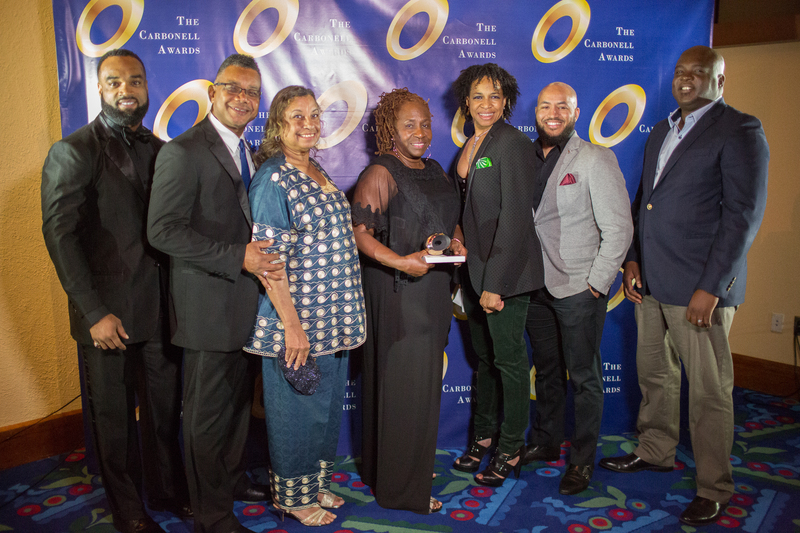 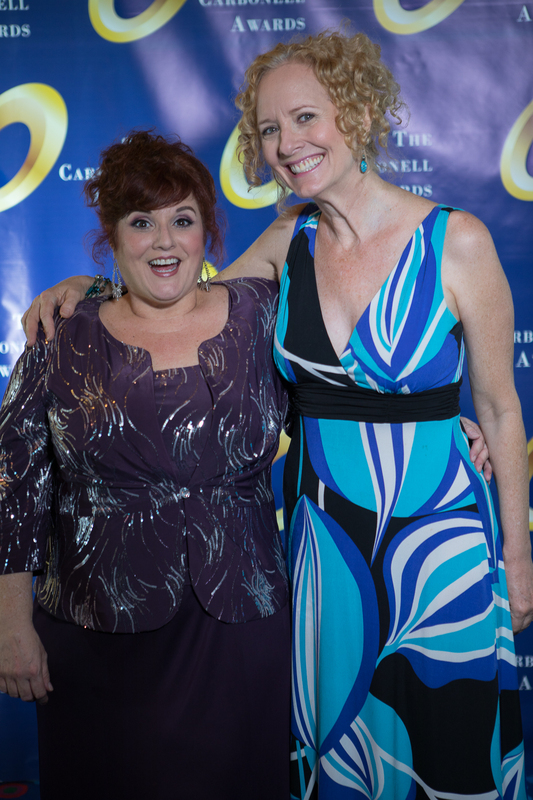 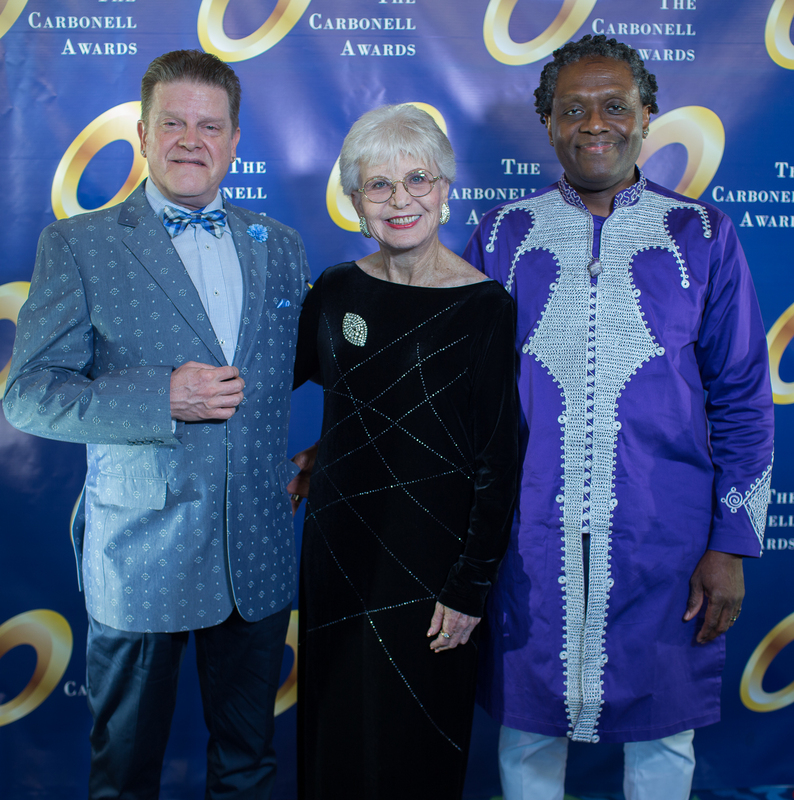 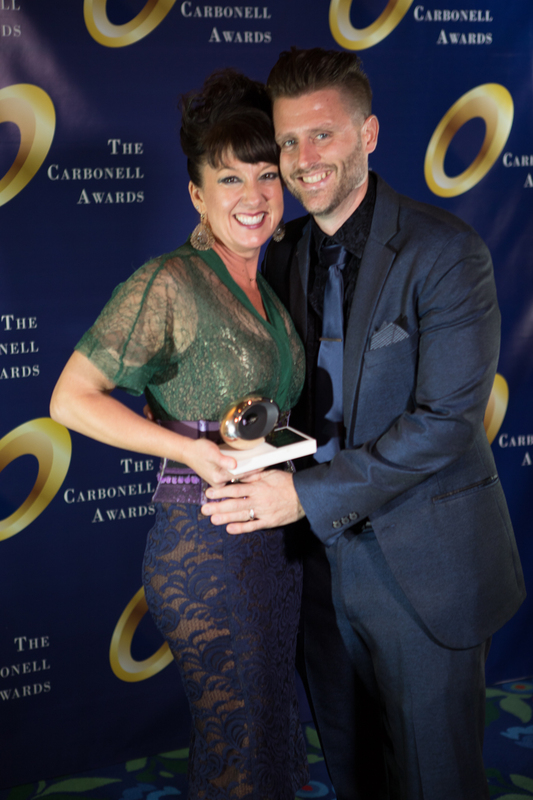 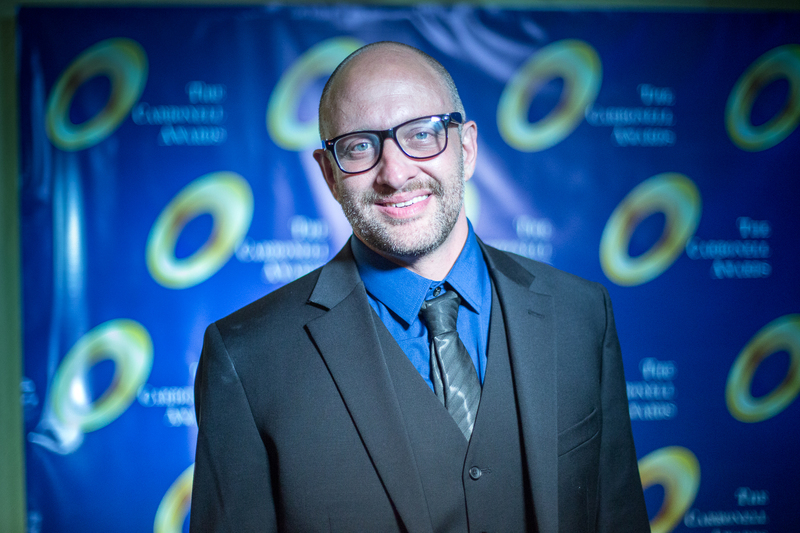 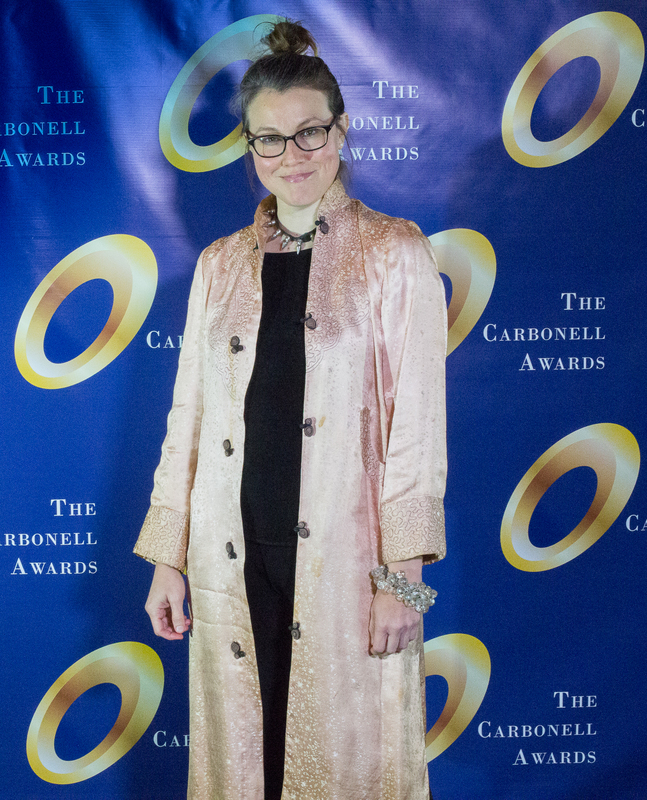 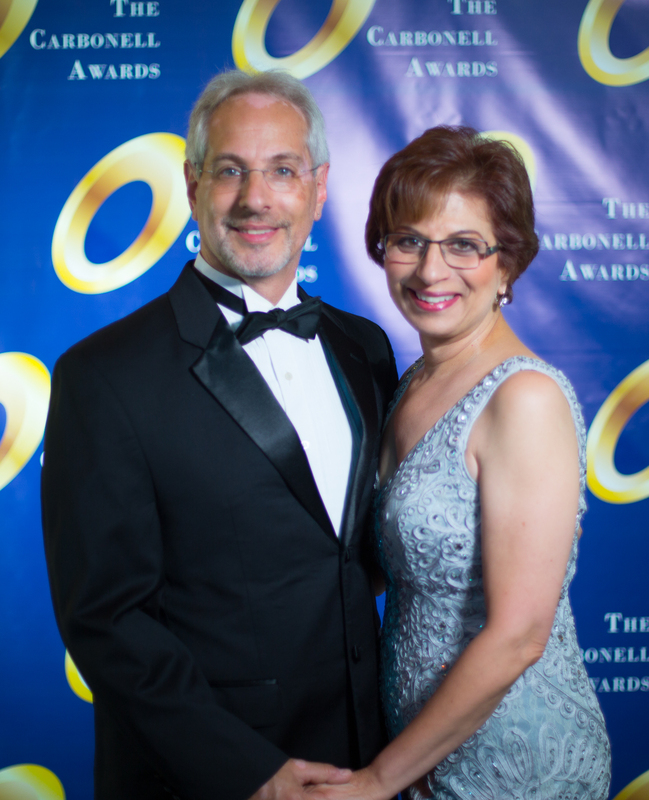 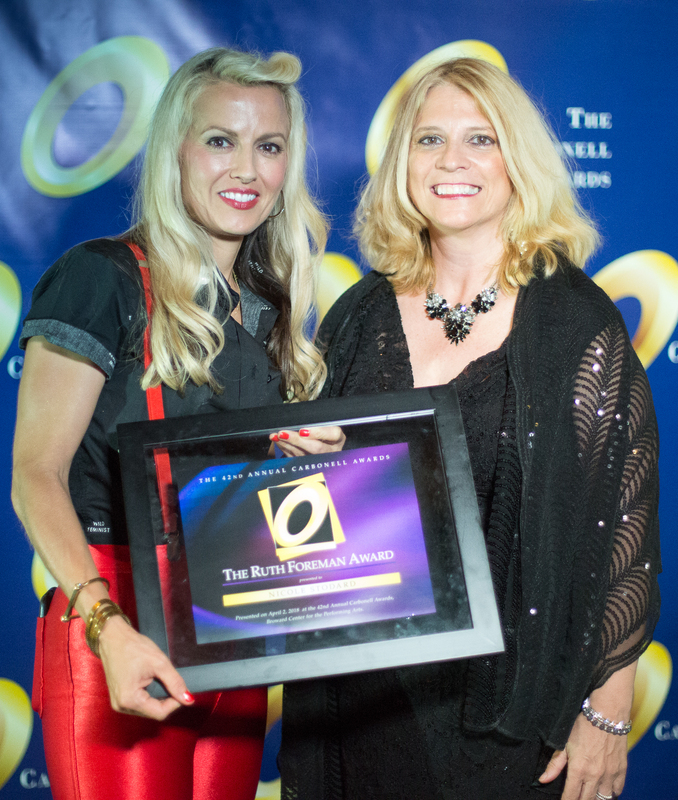 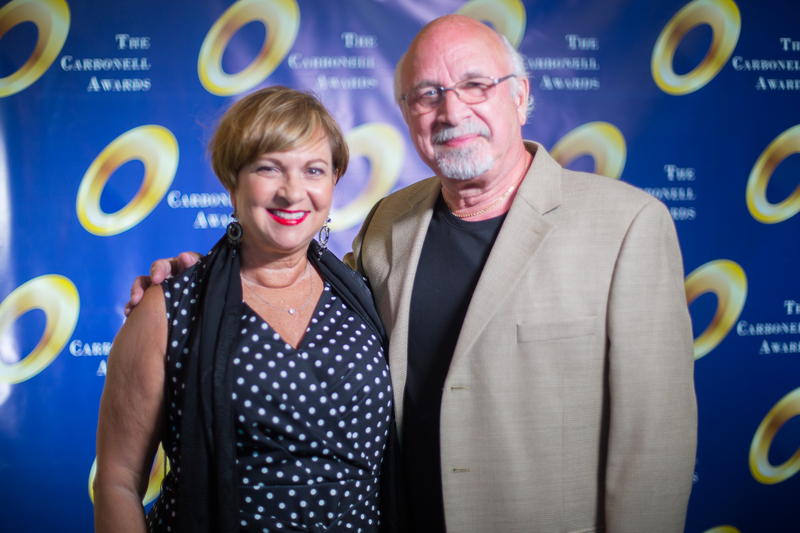 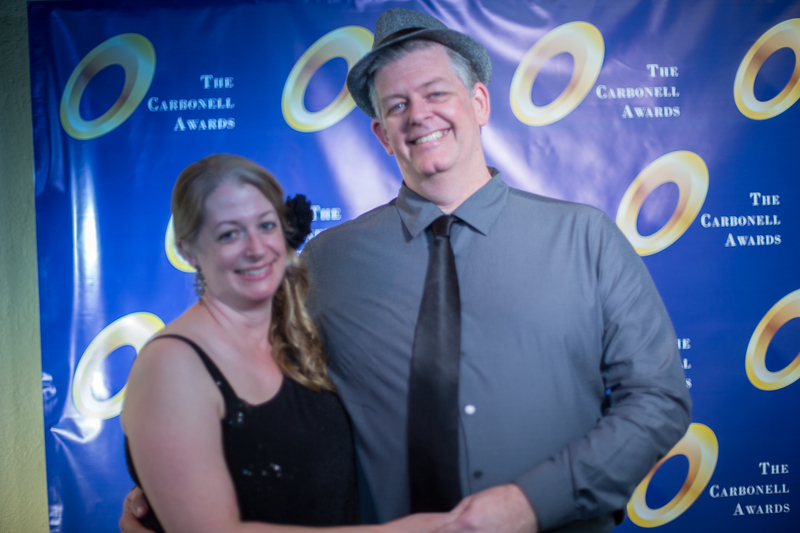 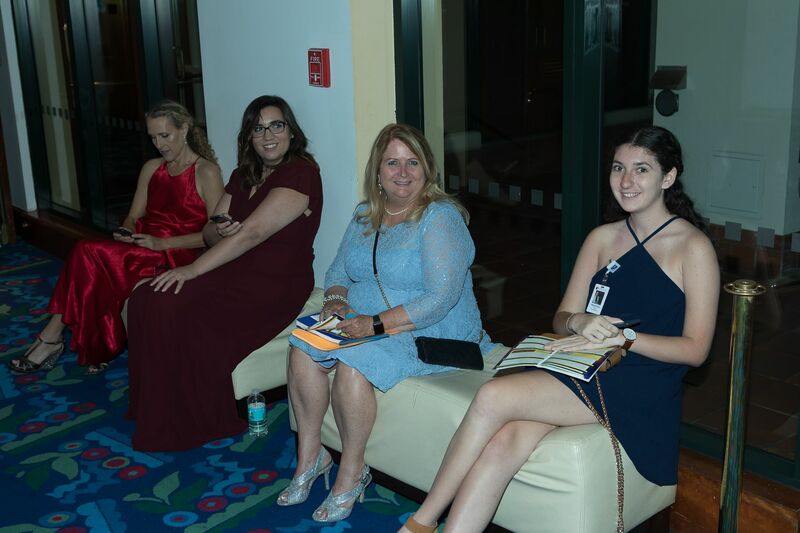 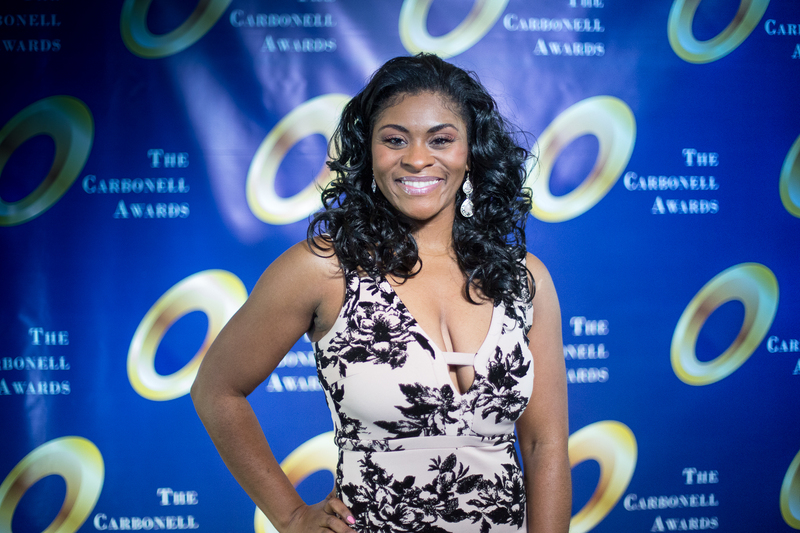 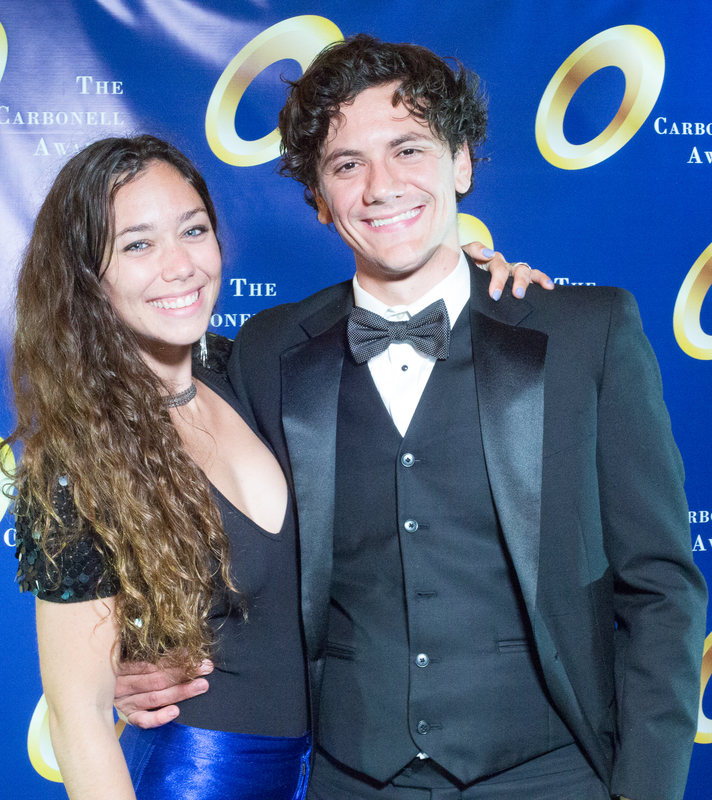 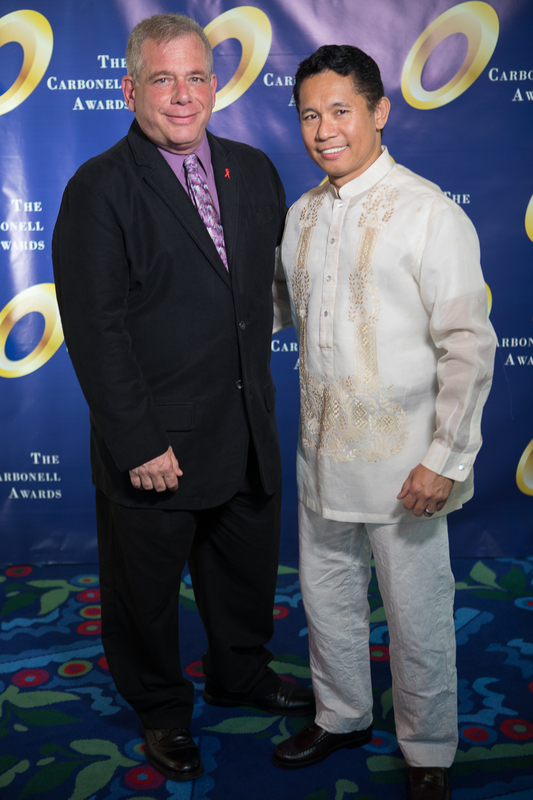 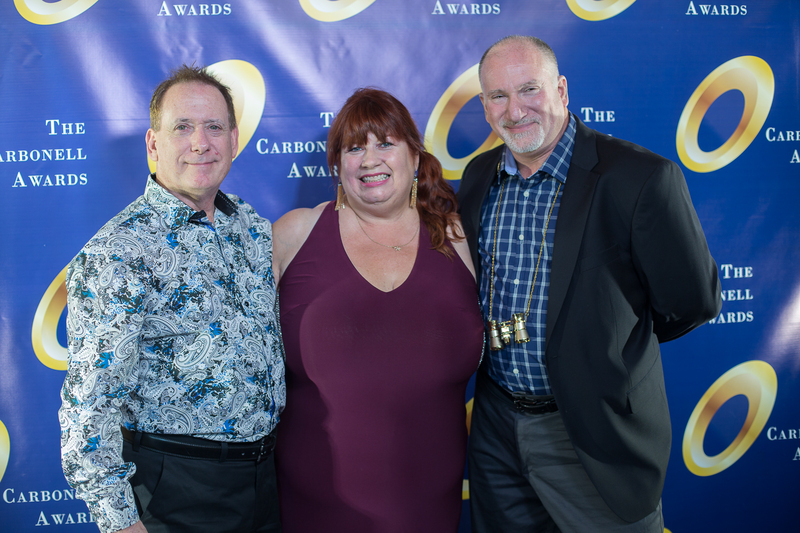 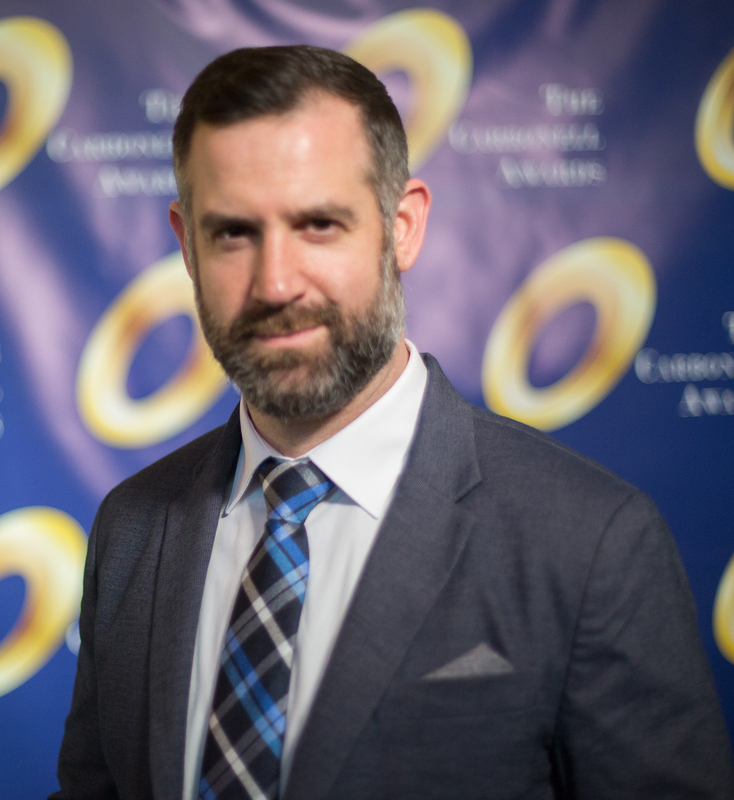 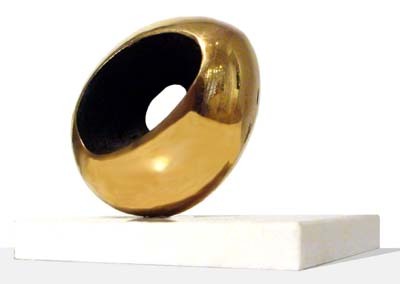 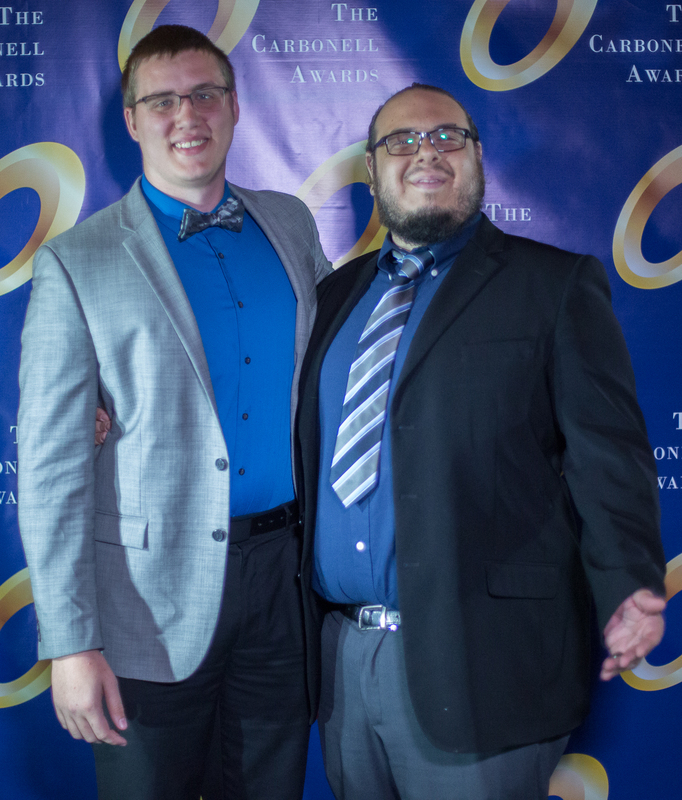 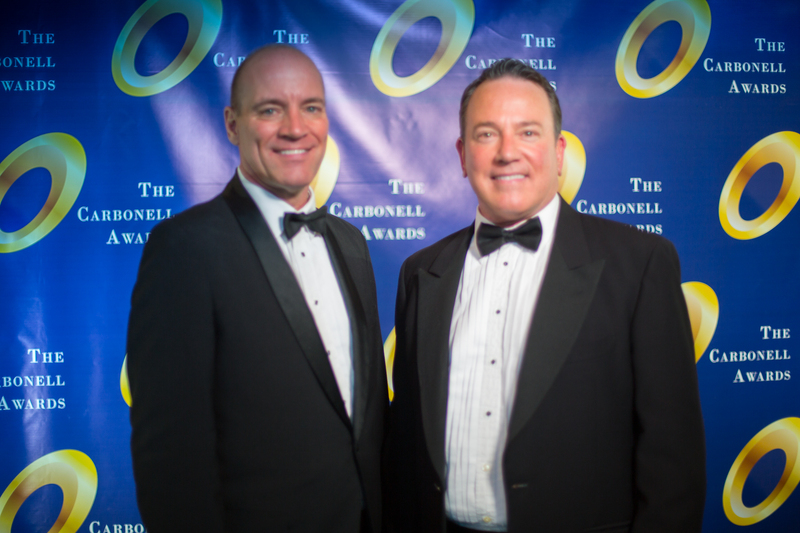 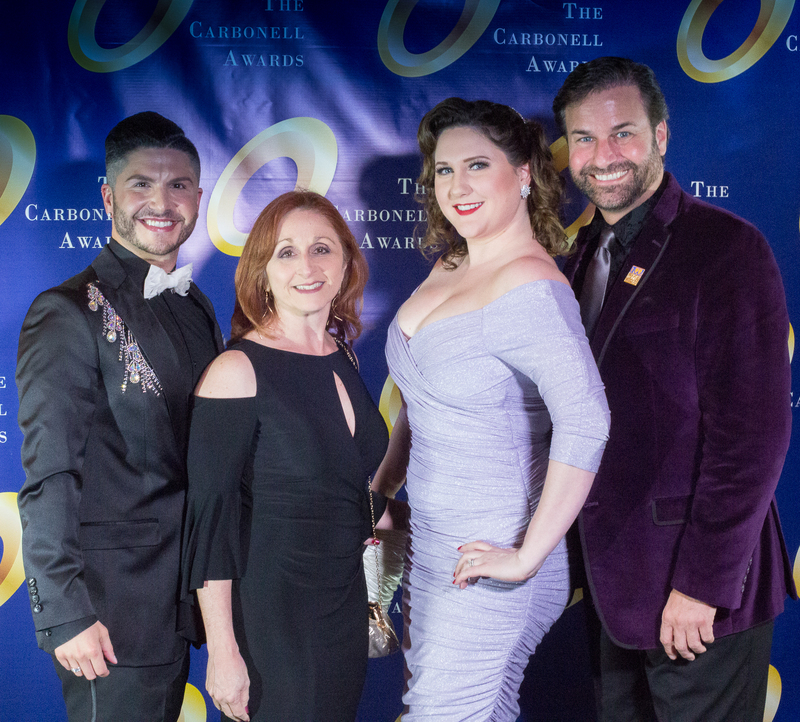 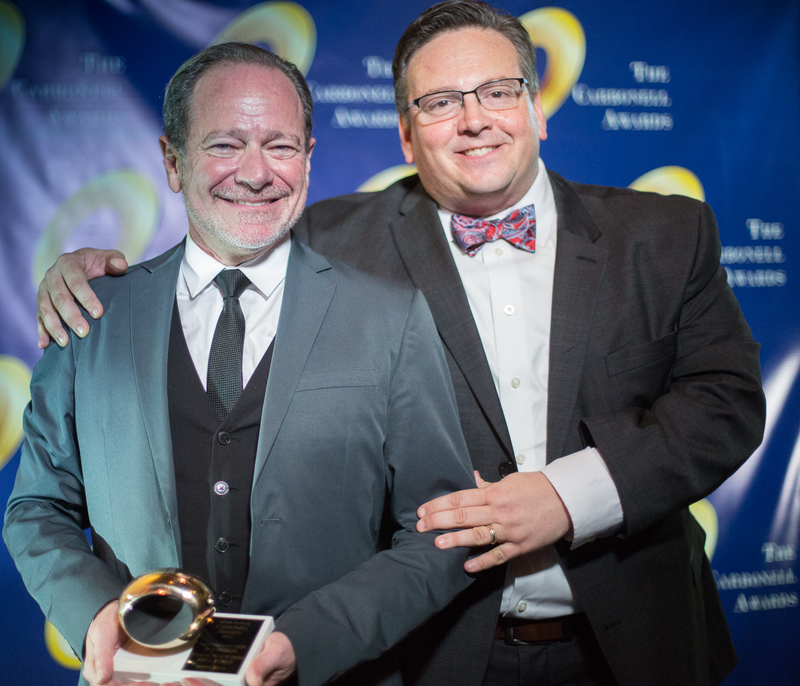 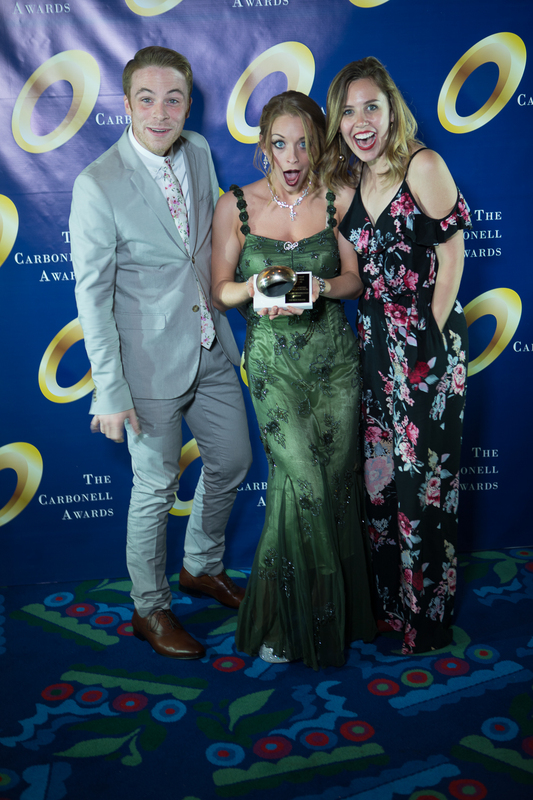 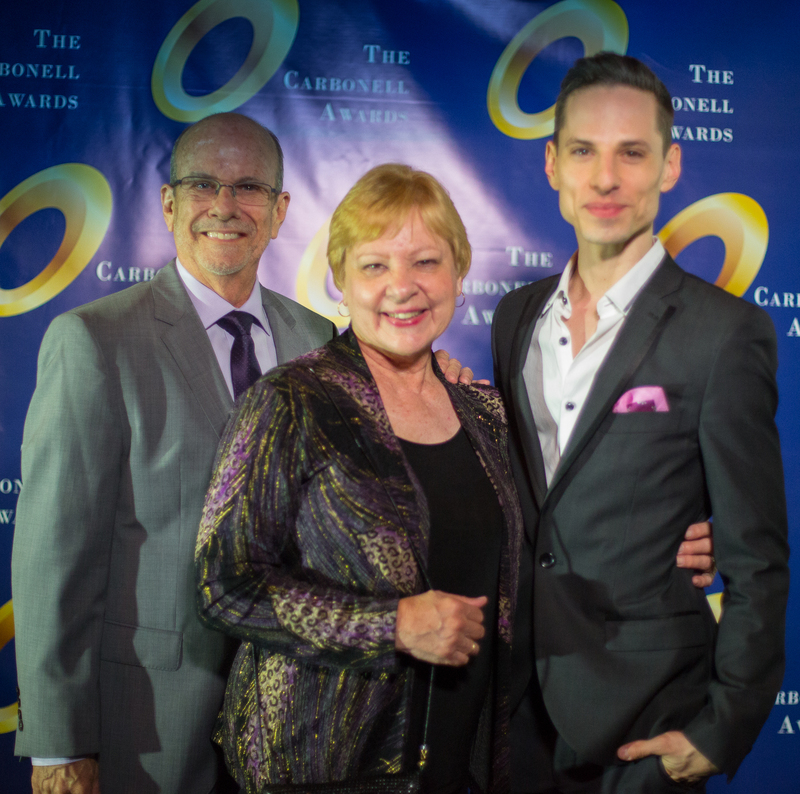 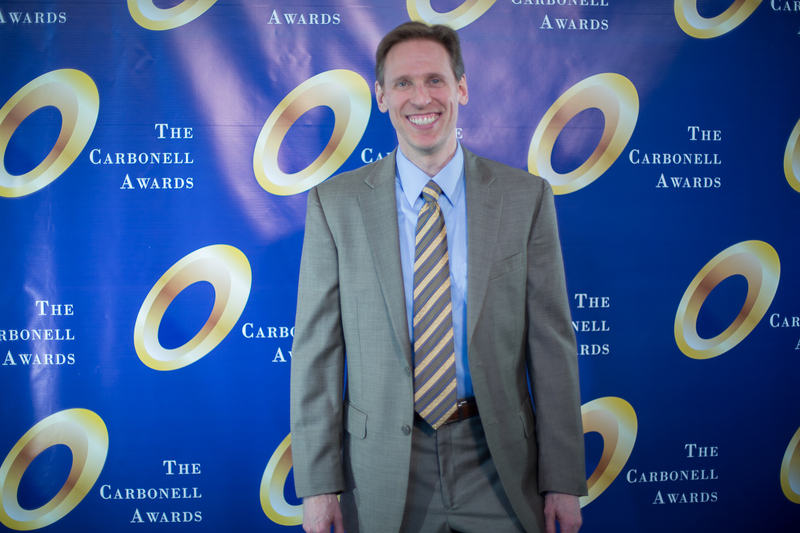 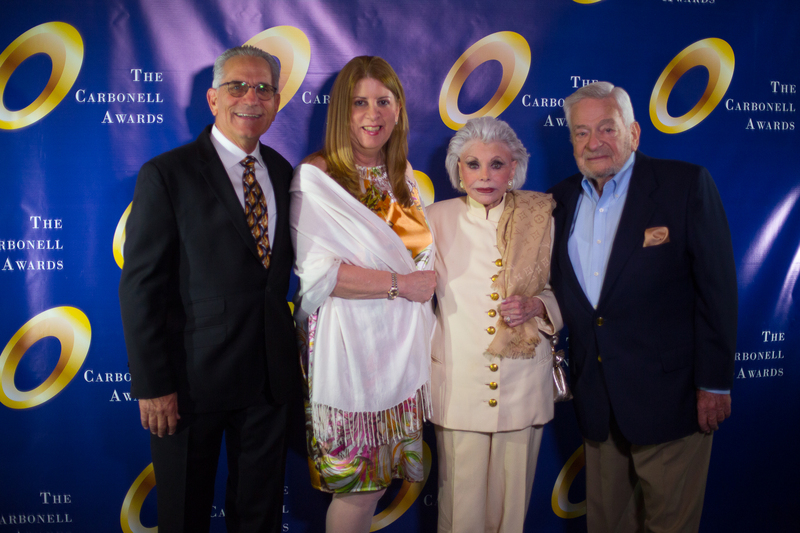 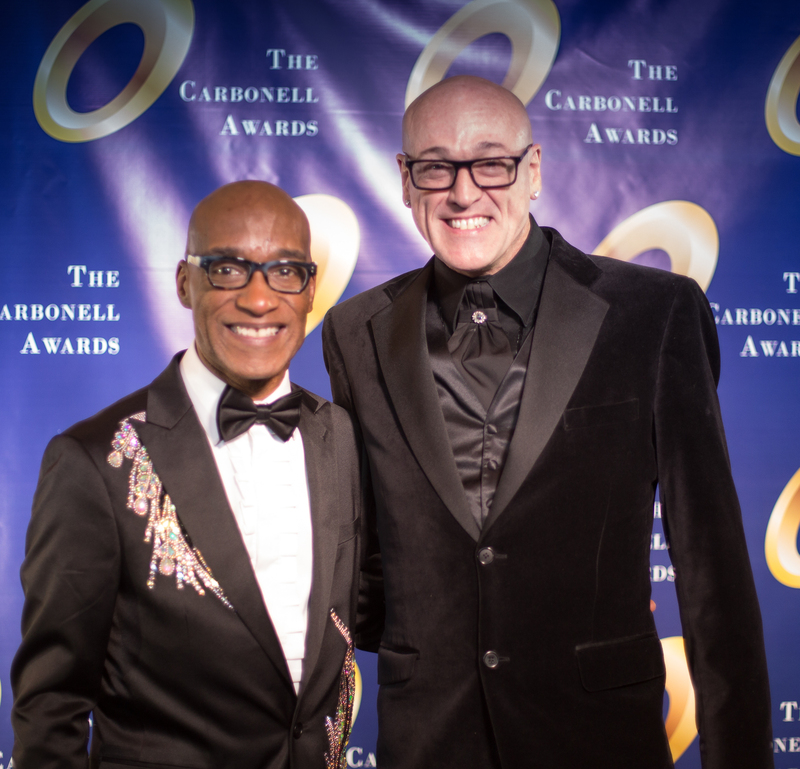 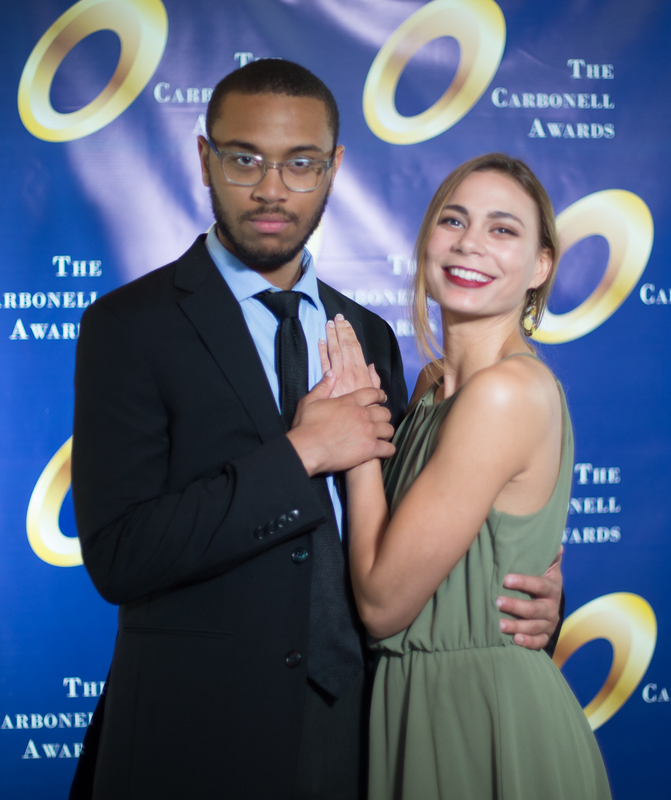 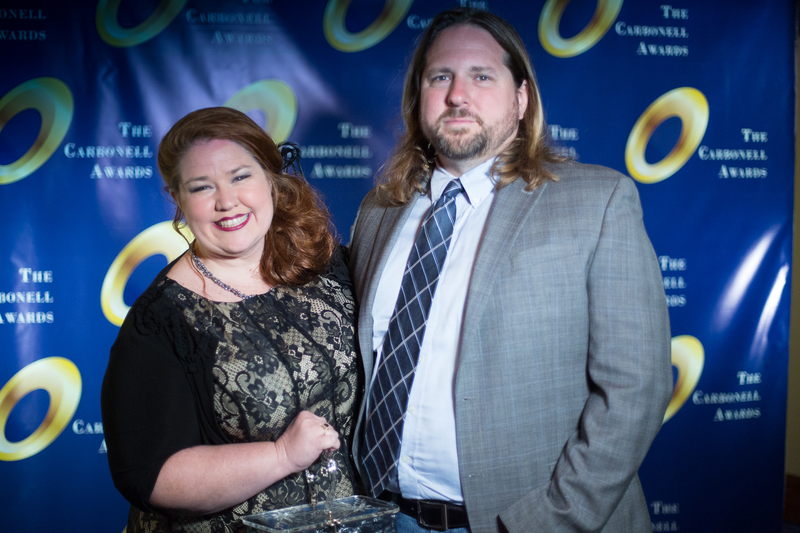 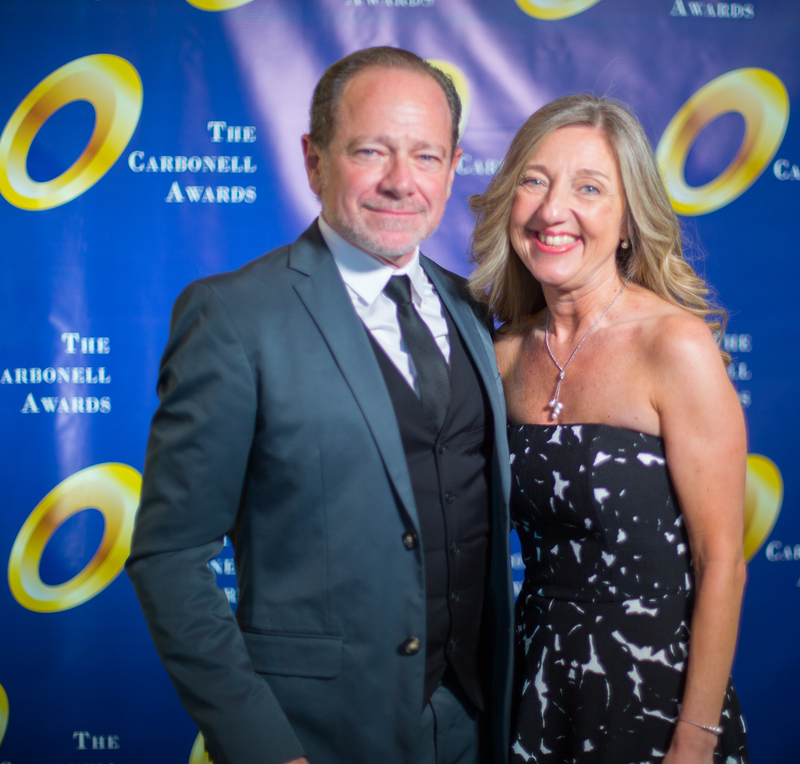 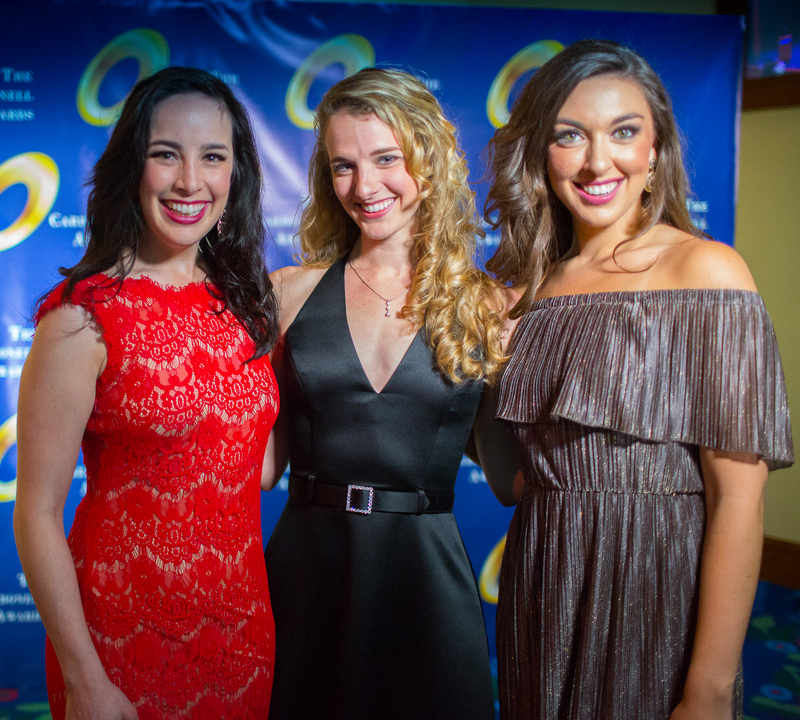 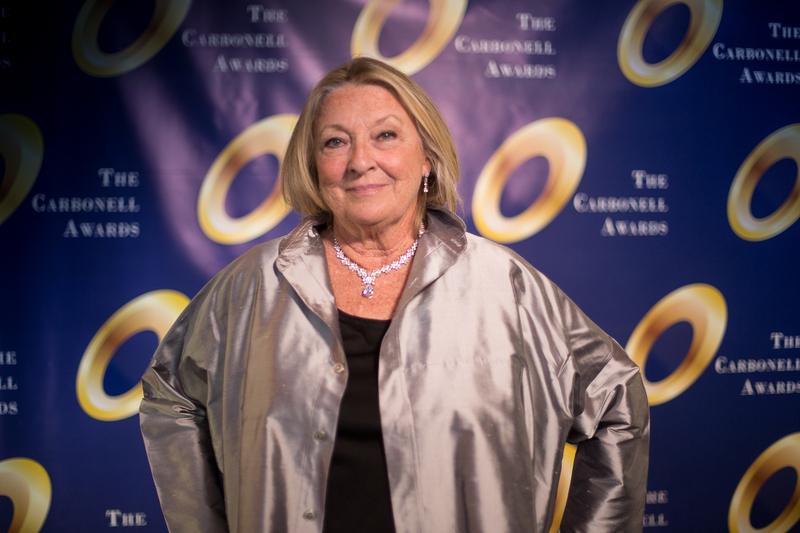 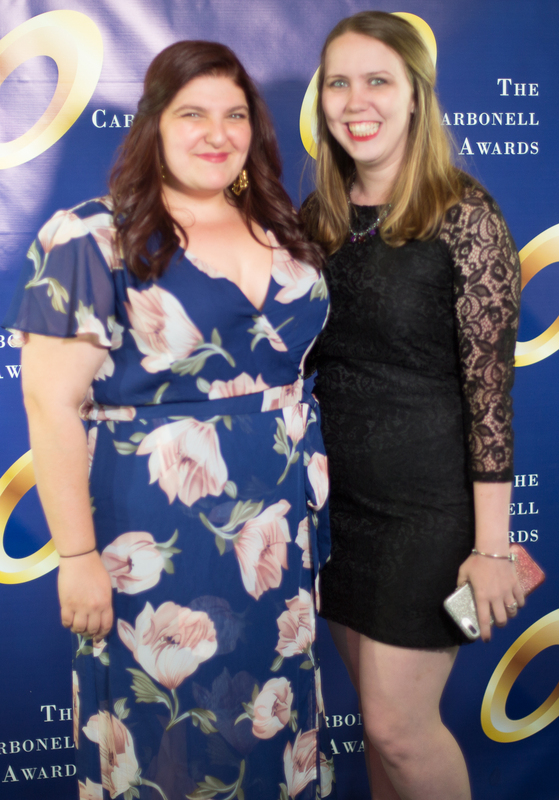 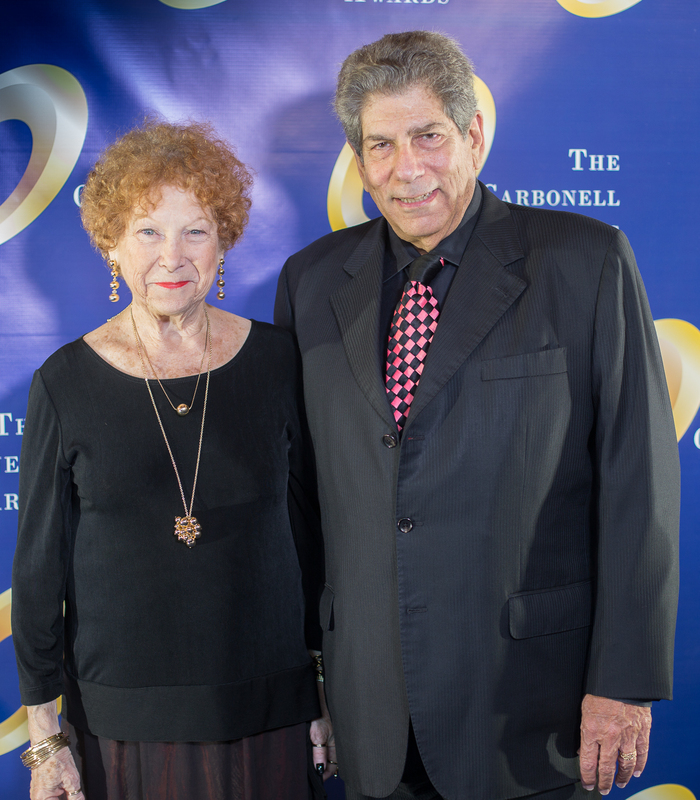 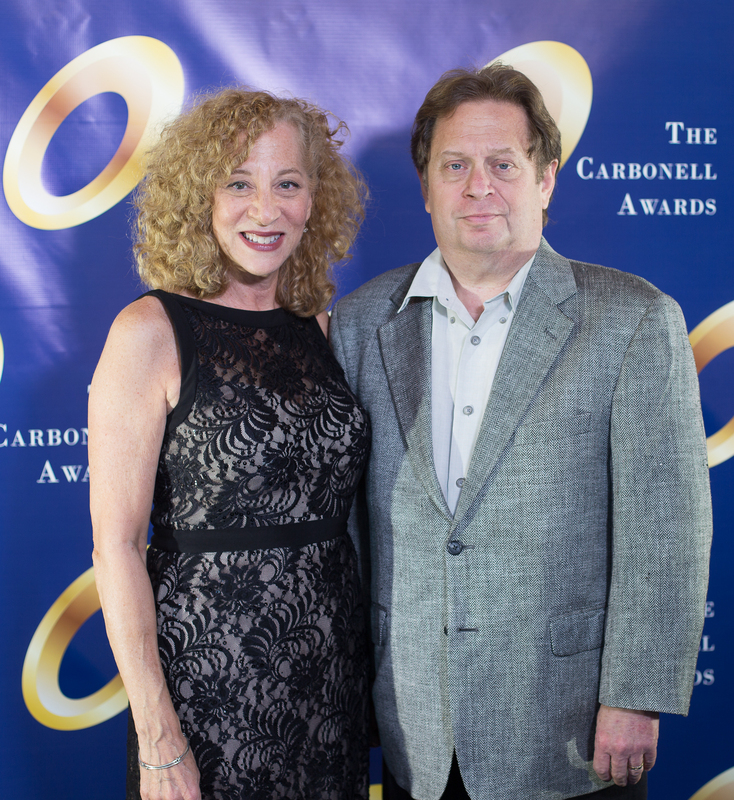 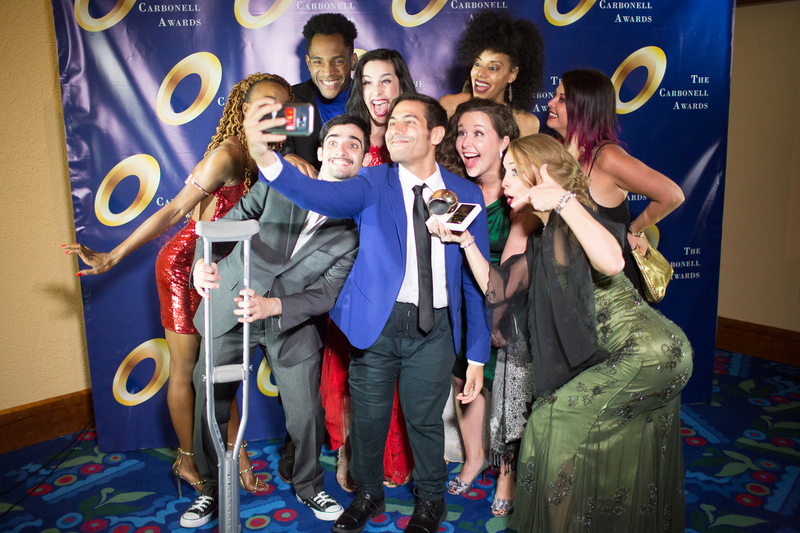 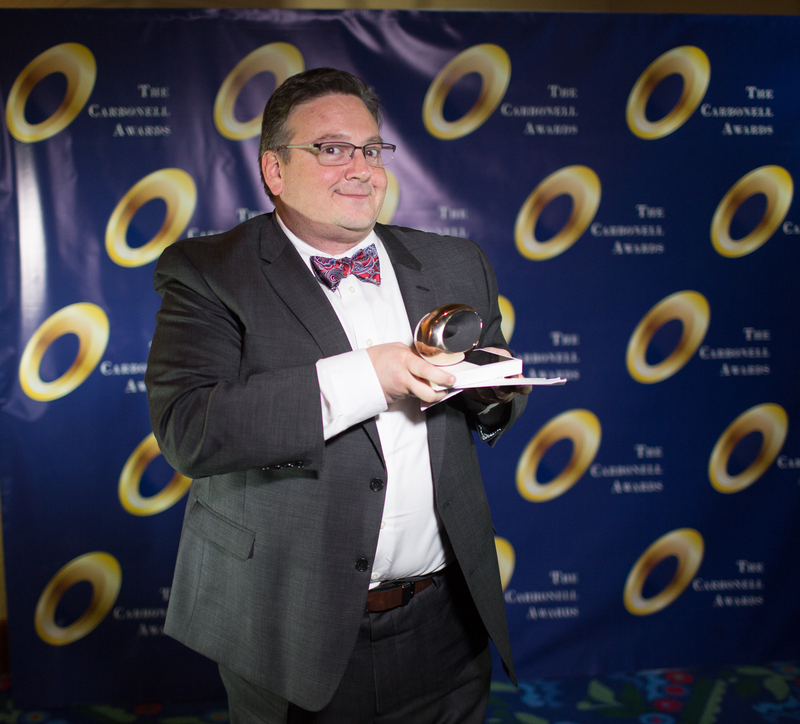 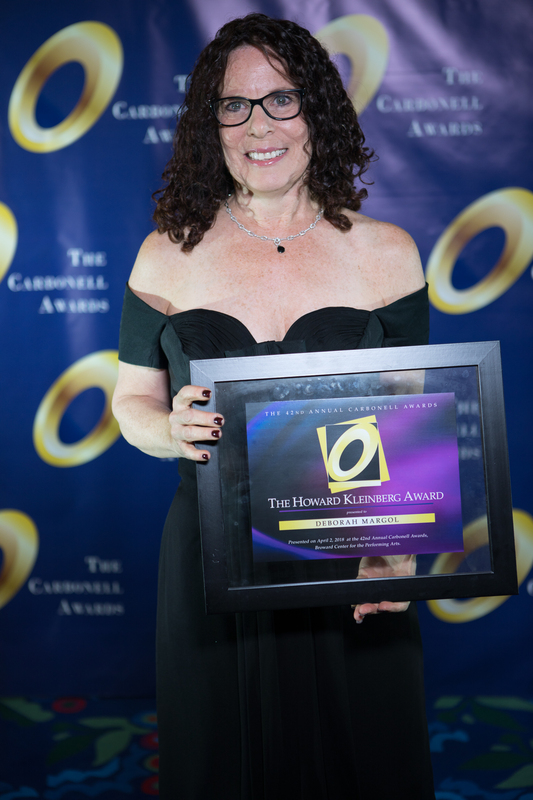 • Producers of all Carbonell Award-eligible productions are to notify the Carbonell Administrative Coordinator (Mary Damiano) at least four weeks prior to opening night to be included in the recommendation panel, and subsequently, the nominating panel calendar. 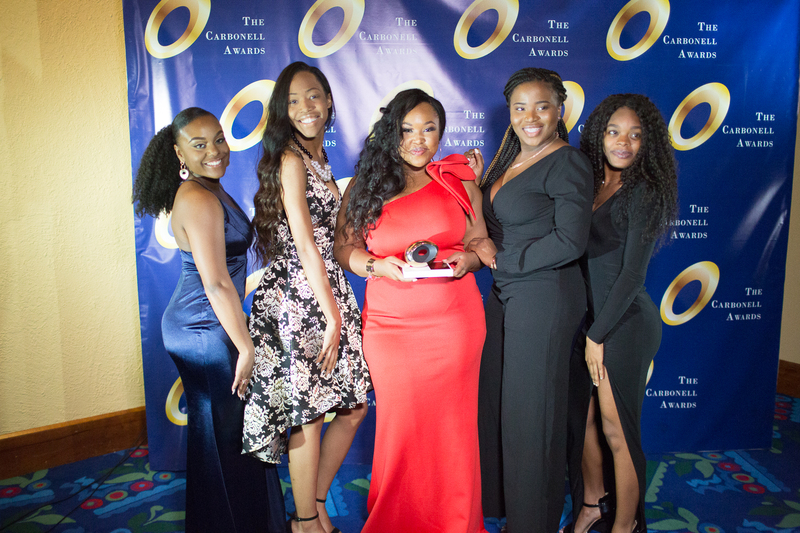 • Eligible companies within the Carbonell Award area (Miami-Dade, Broward, and Palm Beach counties) may co-produce with each other. 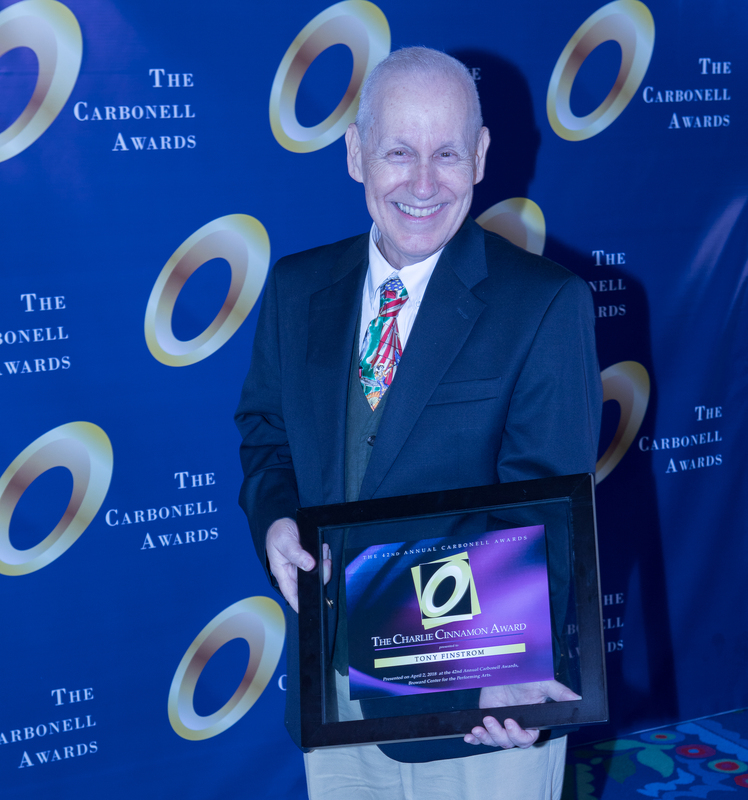 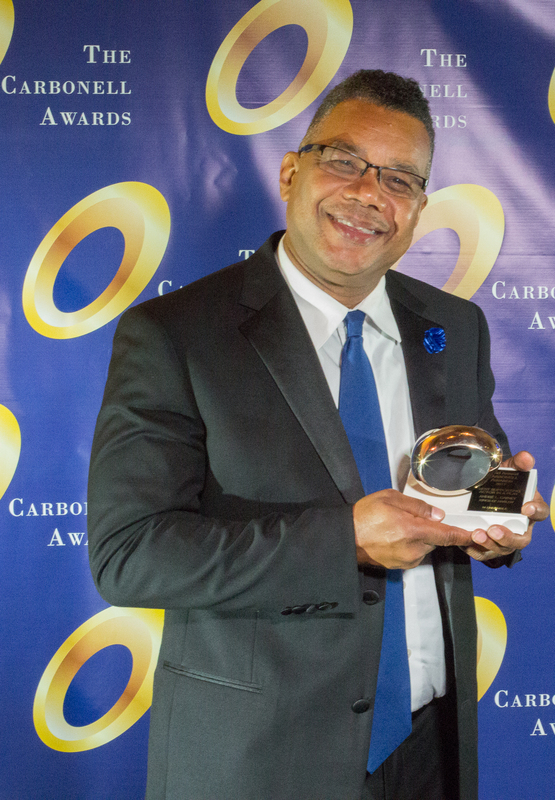 • Eligible companies within the Carbonell Award area may co-produce with other regional theaters throughout the state and nation and/or with outside production entities. 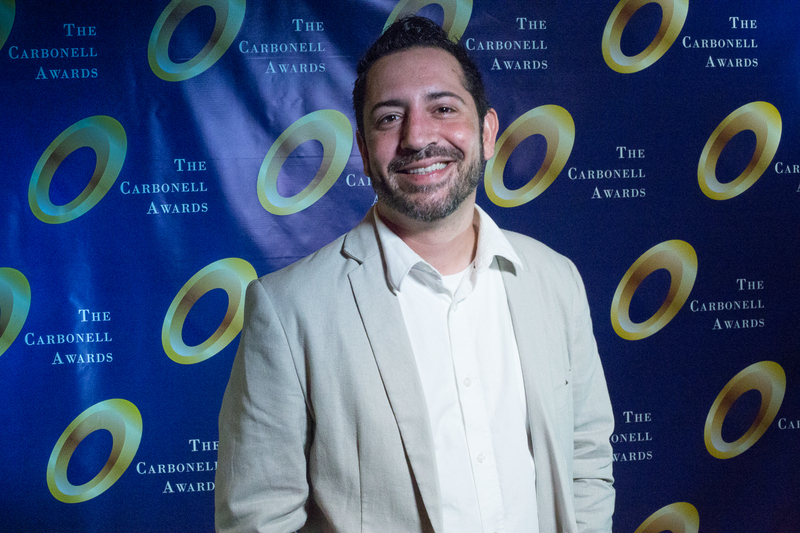 • The production must have local involvement from within the tri-county area to be eligible for Carbonell consideration.